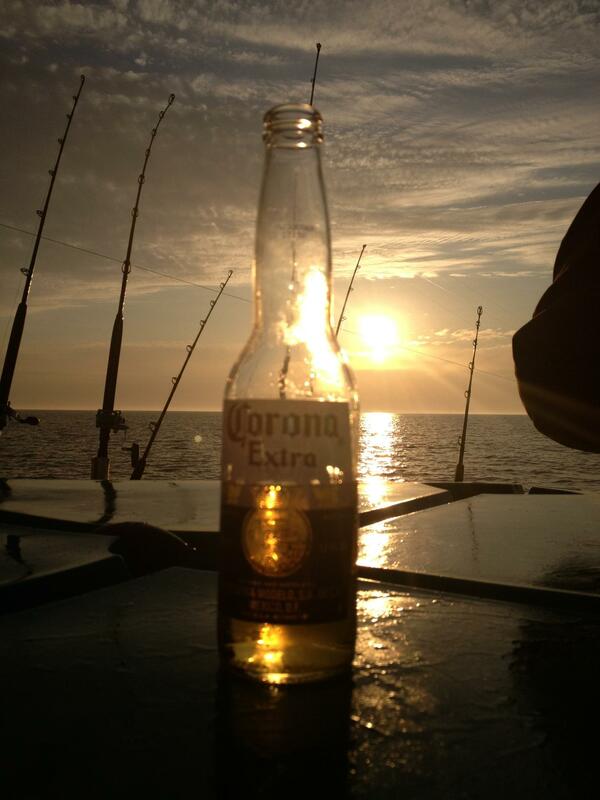 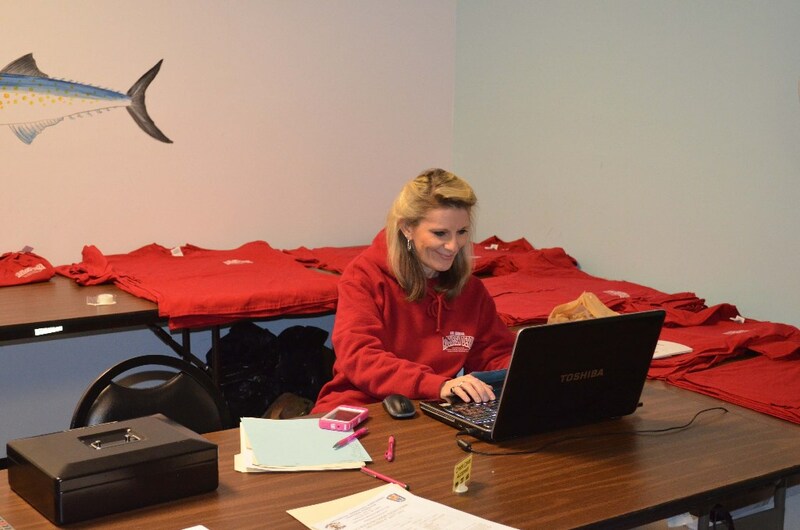 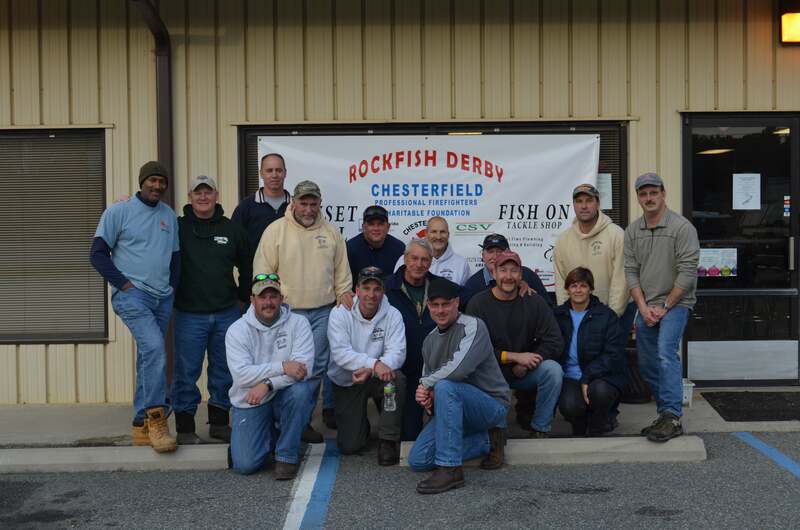 We would like to thank our sponsors and those who fished the tournament over the years! 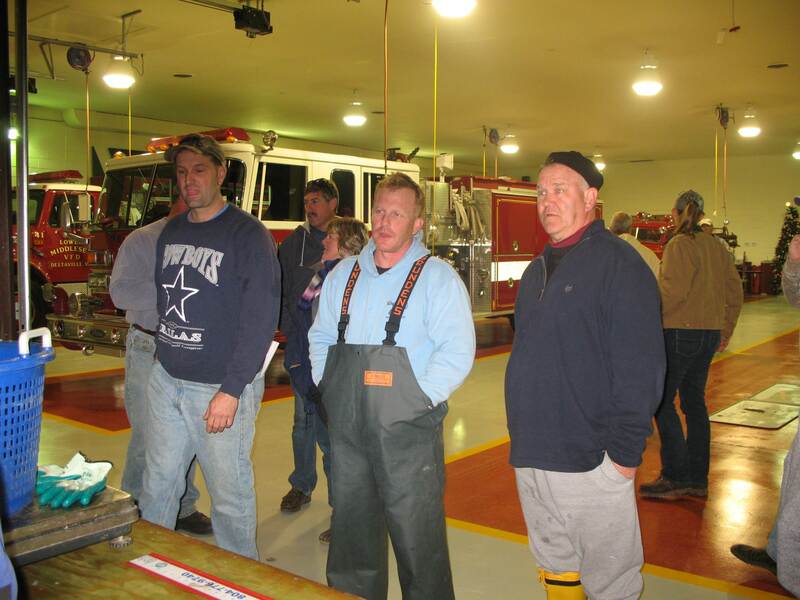 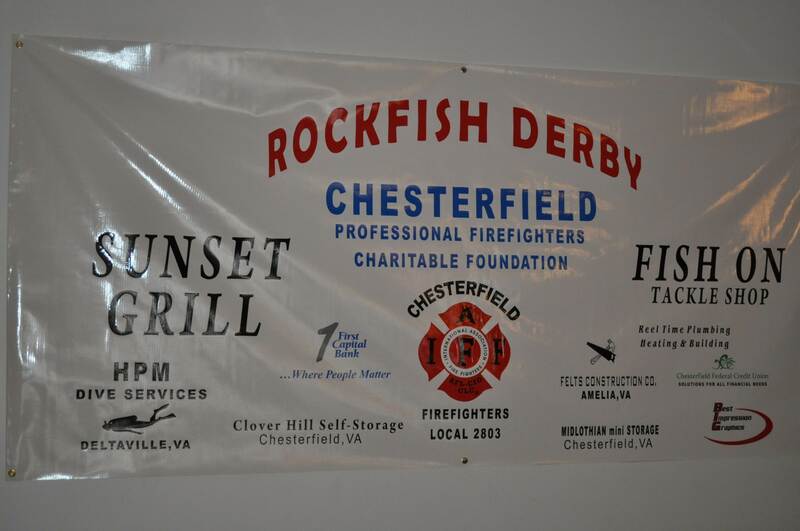 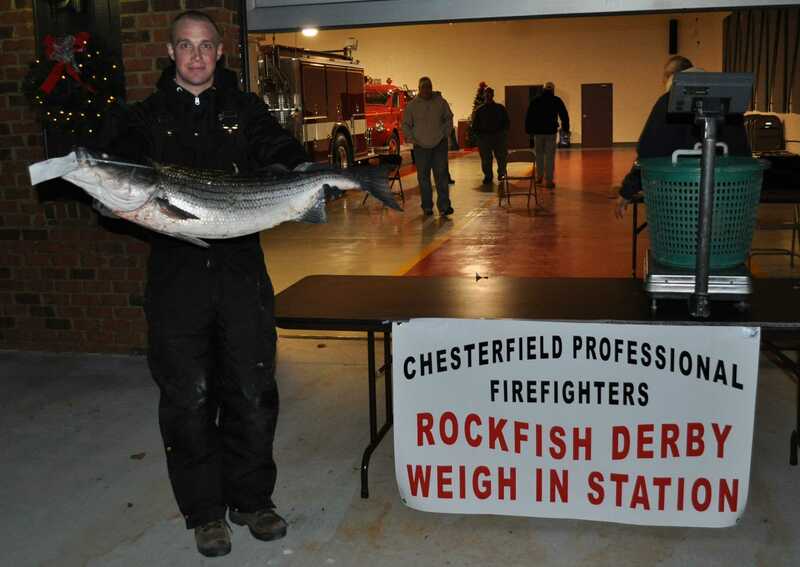 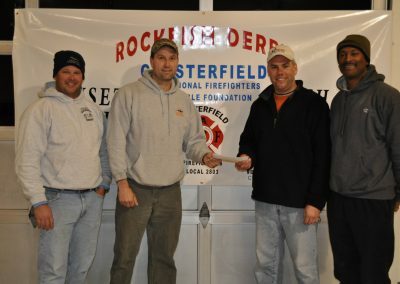 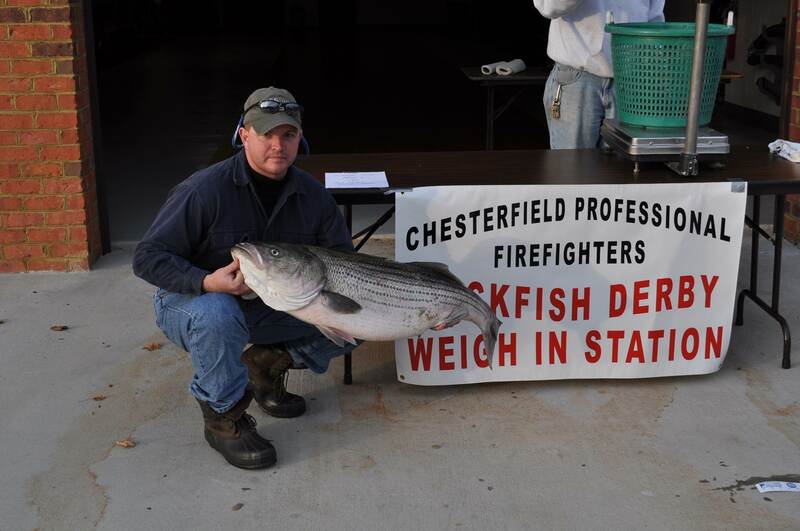 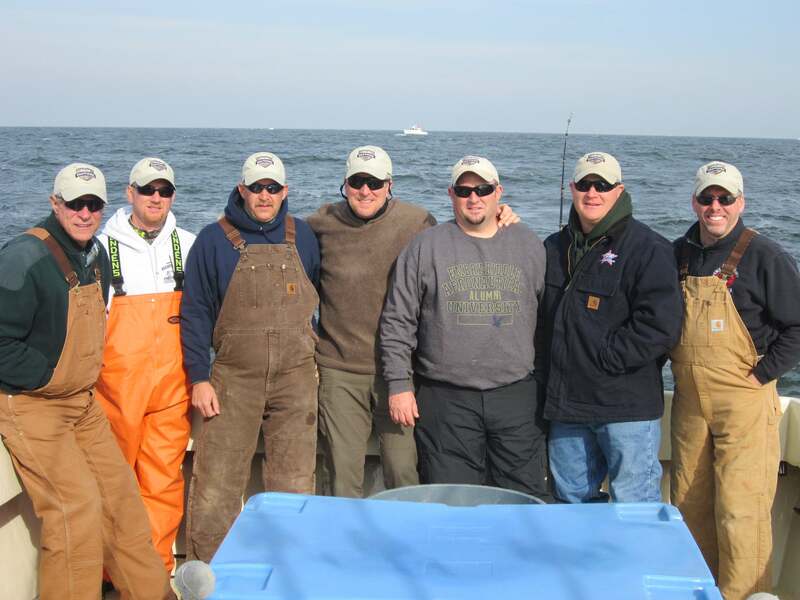 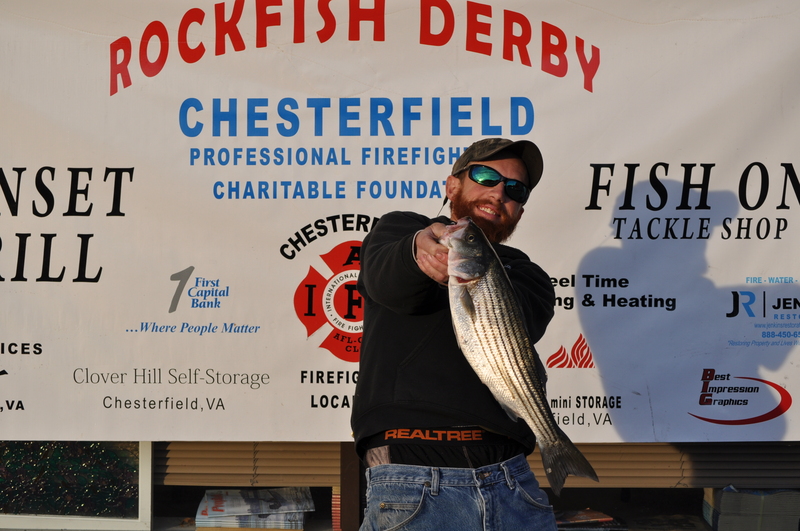 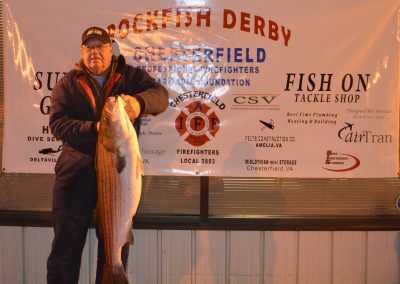 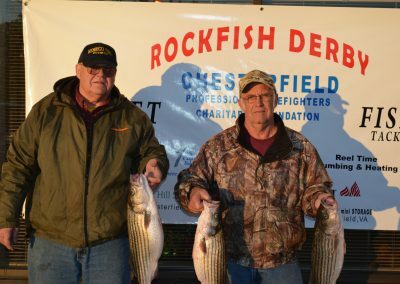 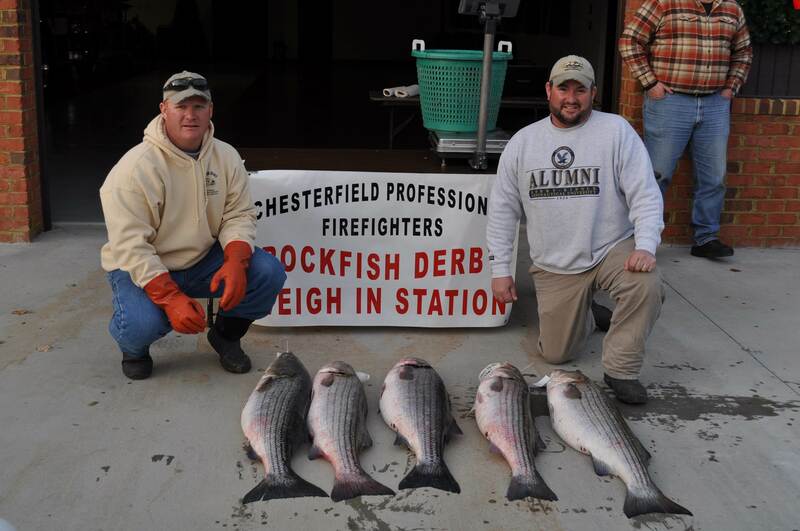 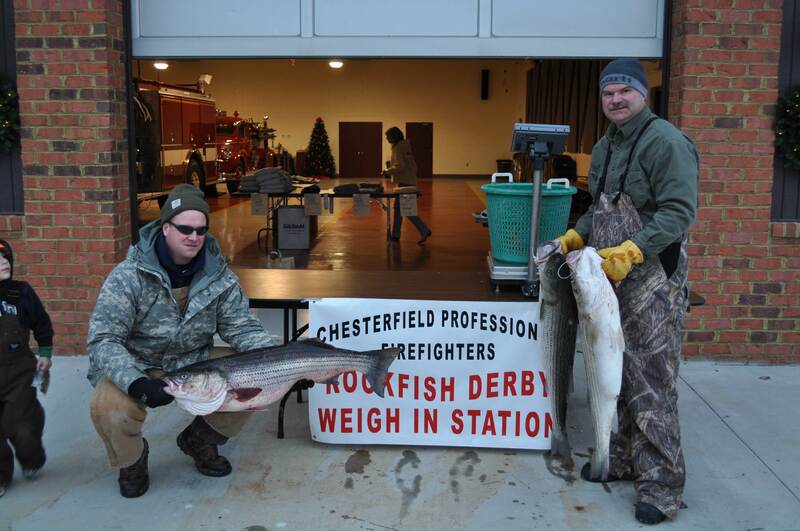 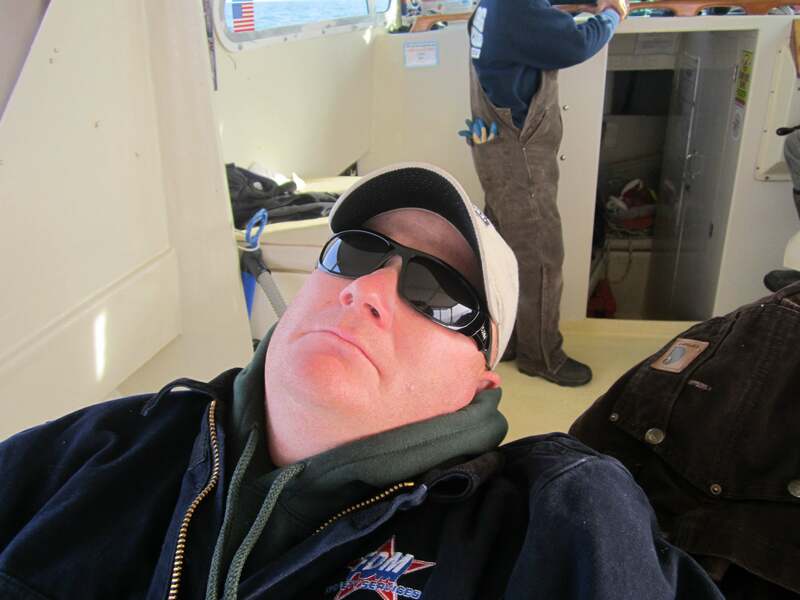 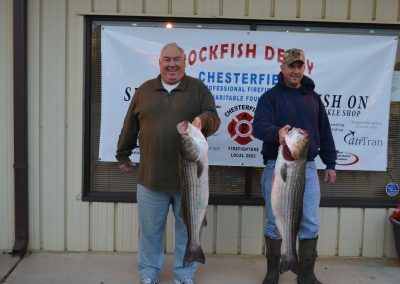 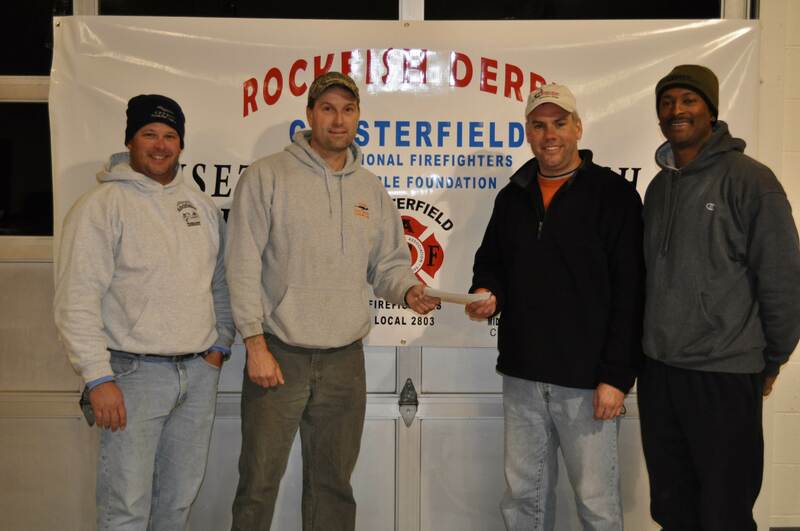 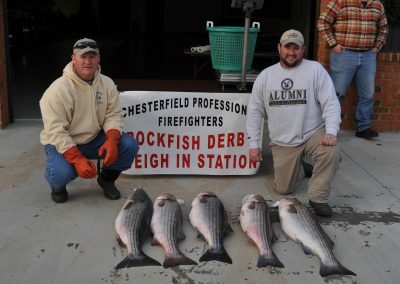 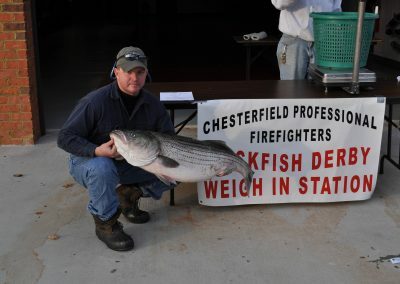 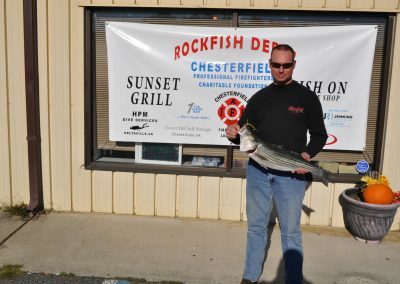 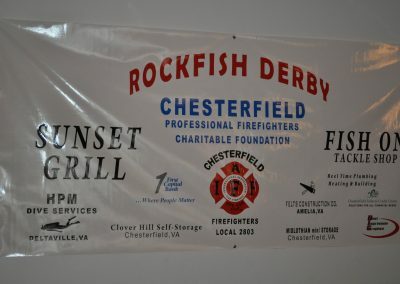 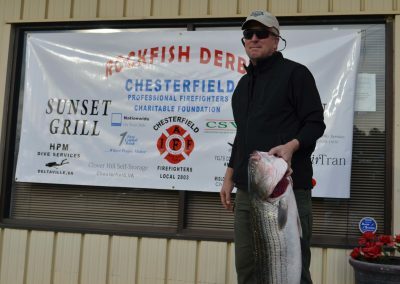 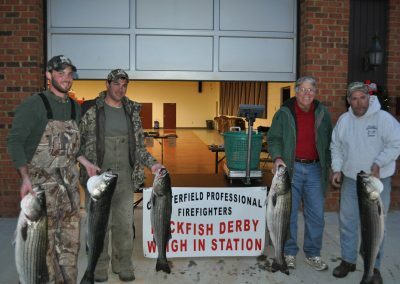 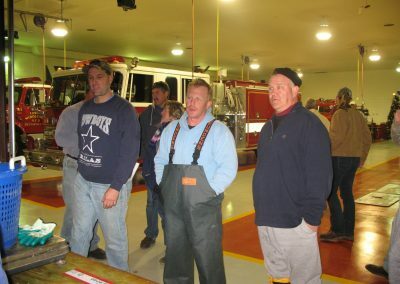 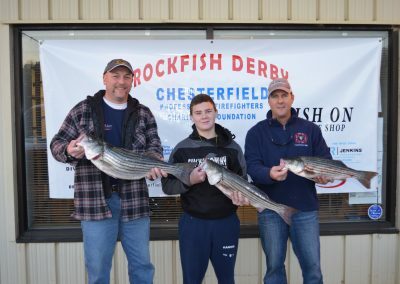 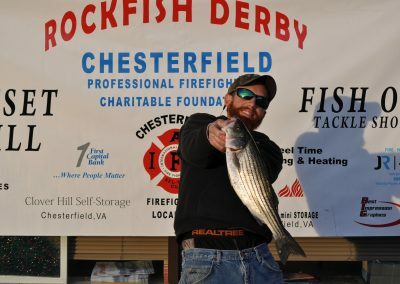 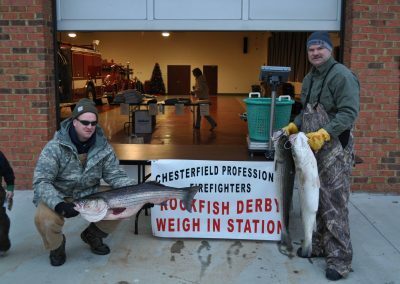 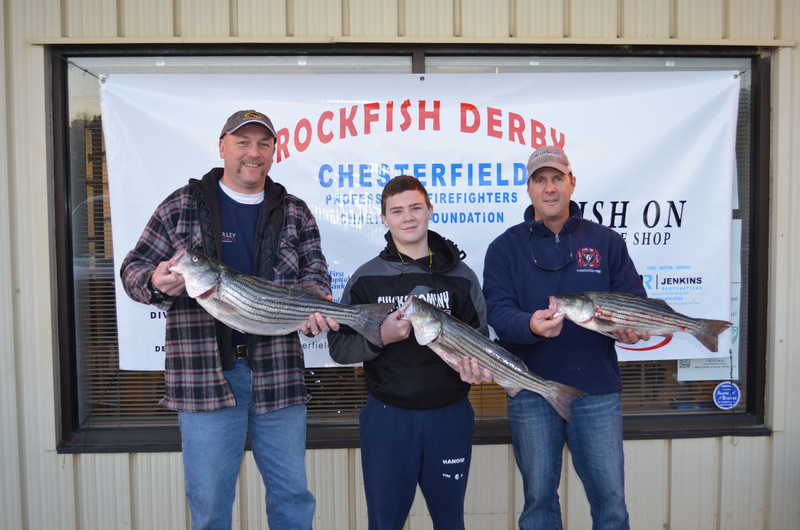 The Chesterfield Professional Firefighters Rockfish Derby was first held in 2008 in memory of our fallen brother Joe Newsome. Joe died in the spring of 2007 leaving behind a wife, two children and many shocked and saddened friends. 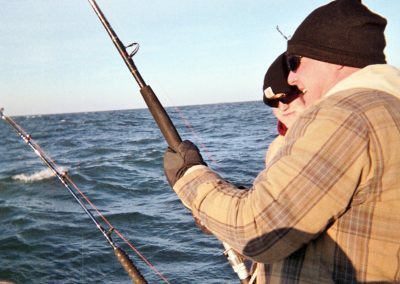 Joe loved being in the outdoors, especially scouting trips with his sons. 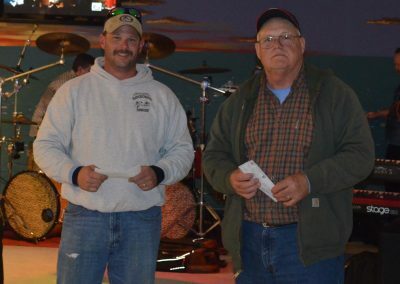 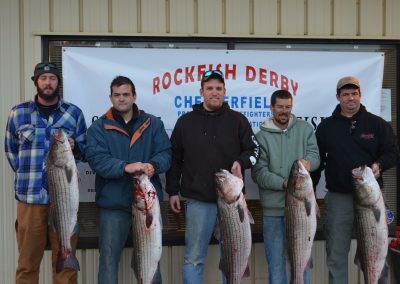 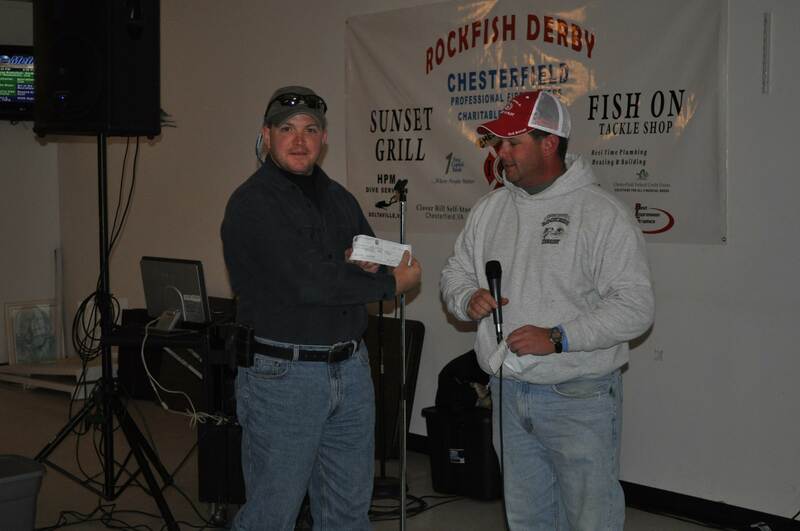 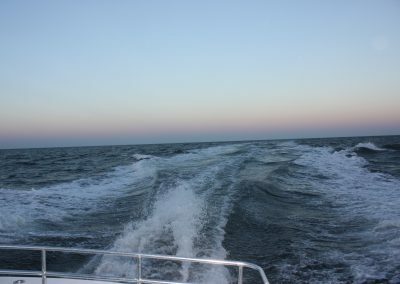 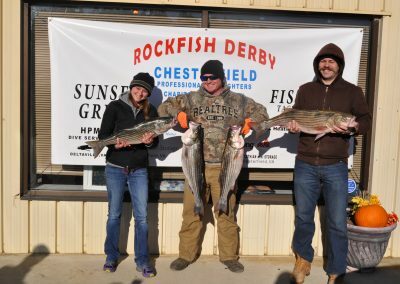 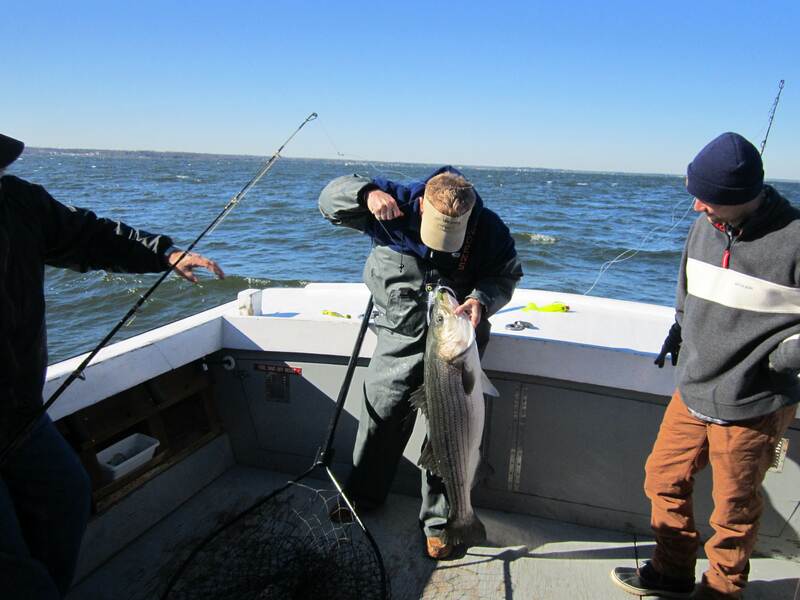 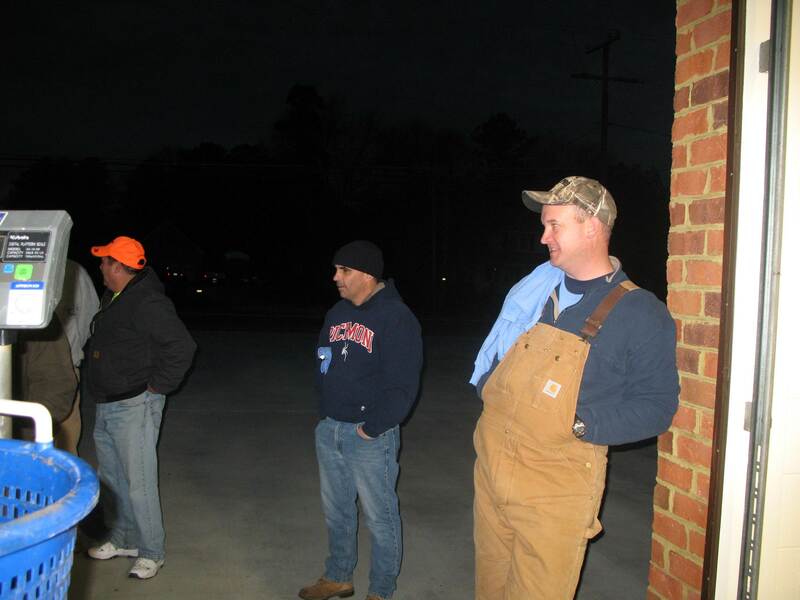 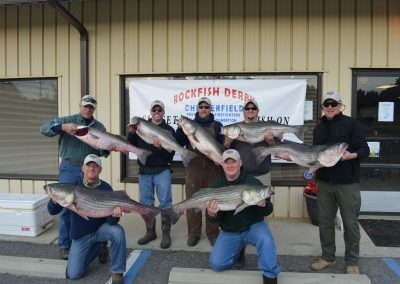 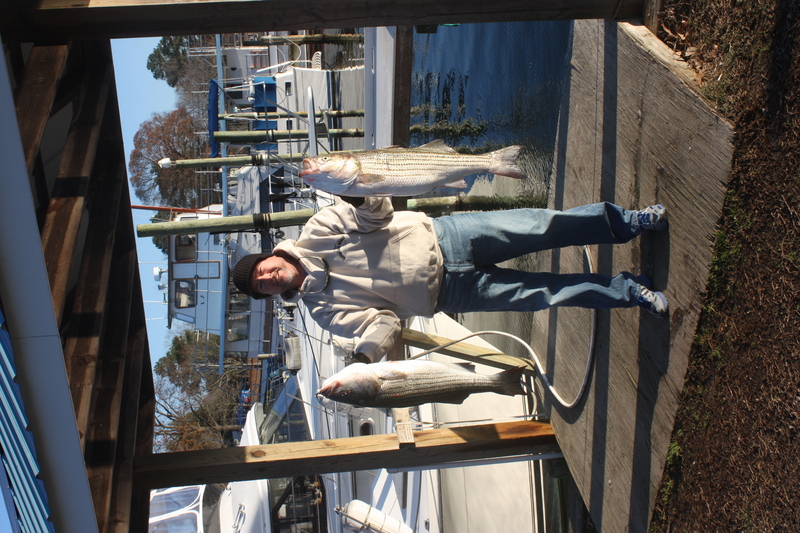 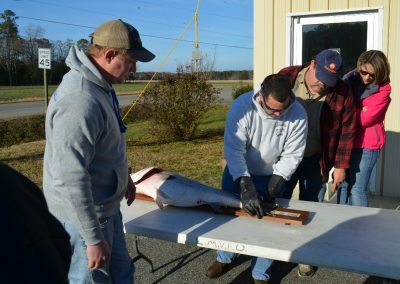 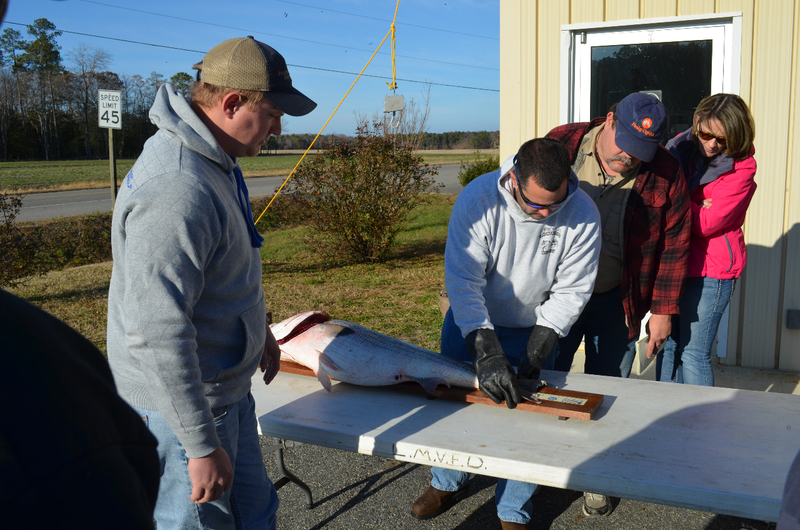 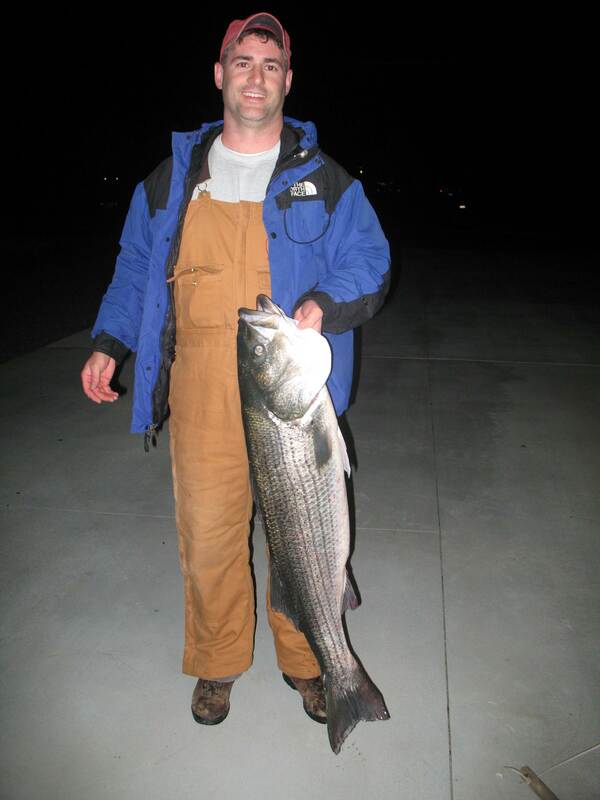 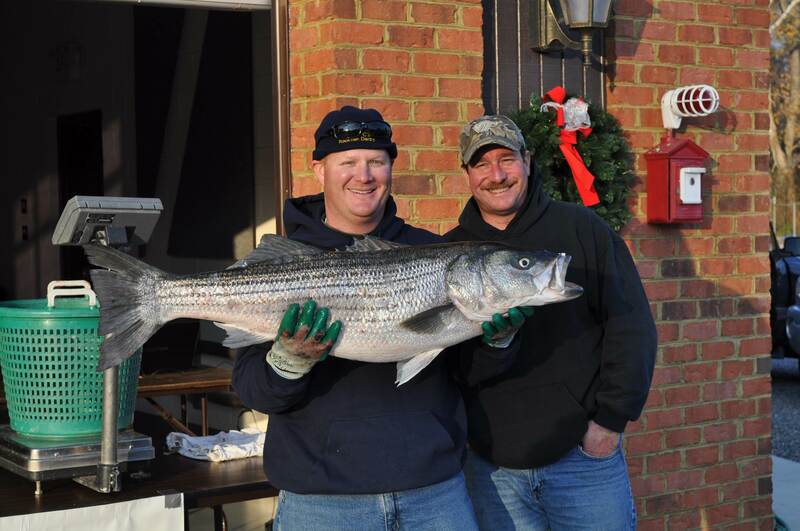 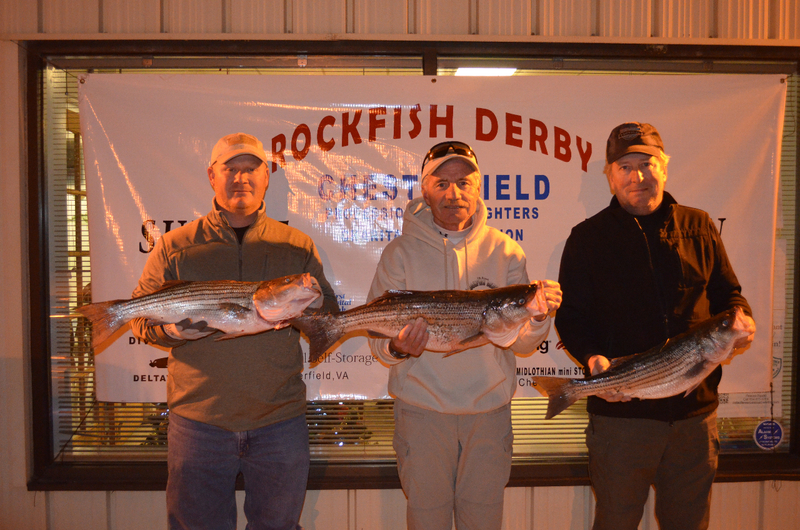 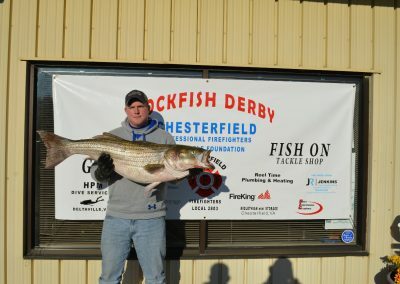 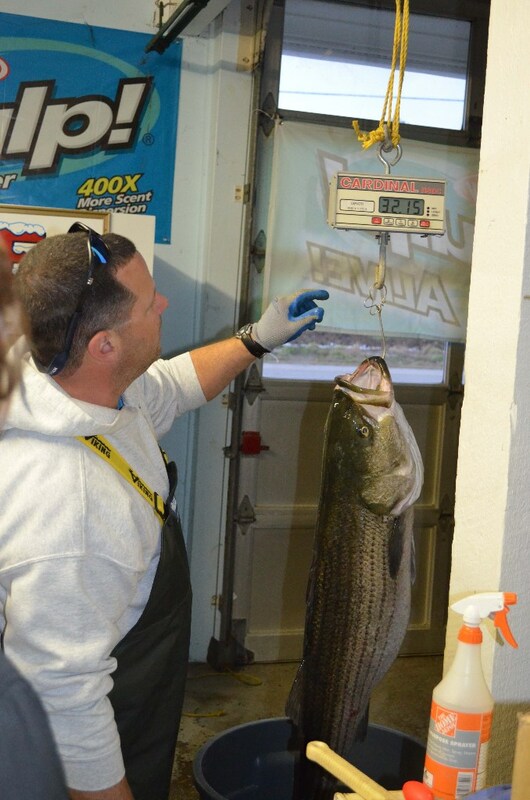 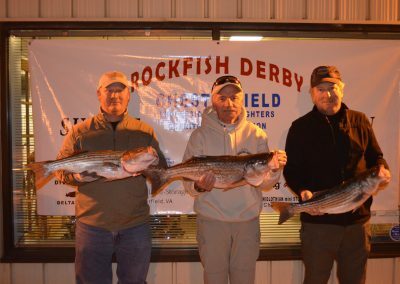 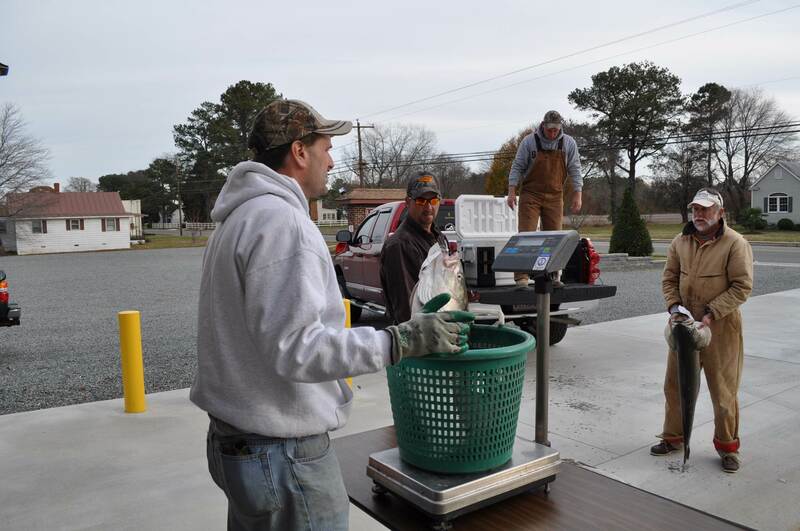 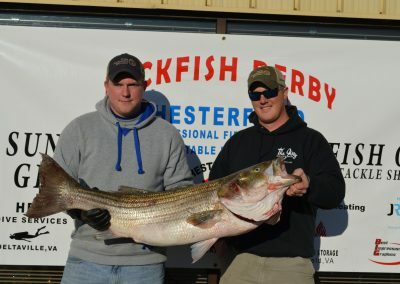 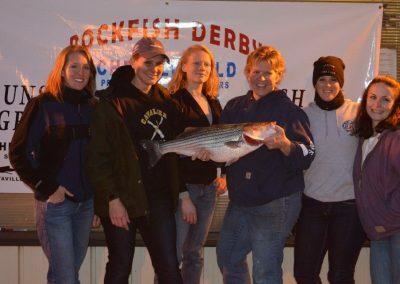 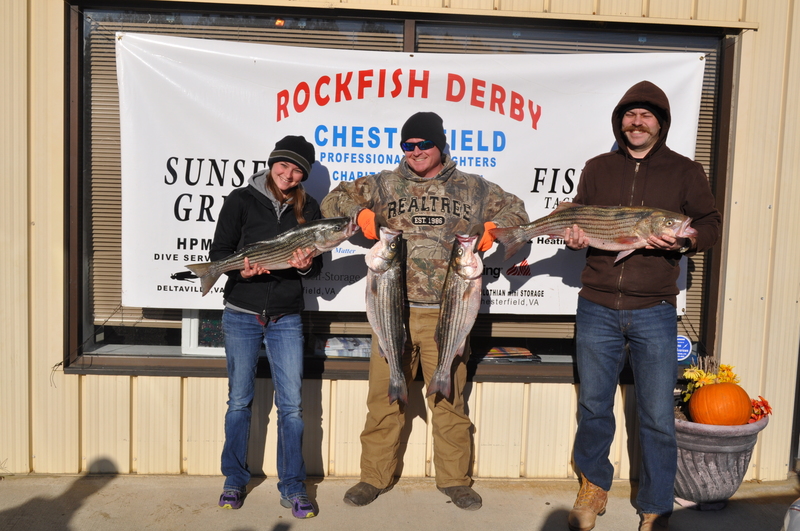 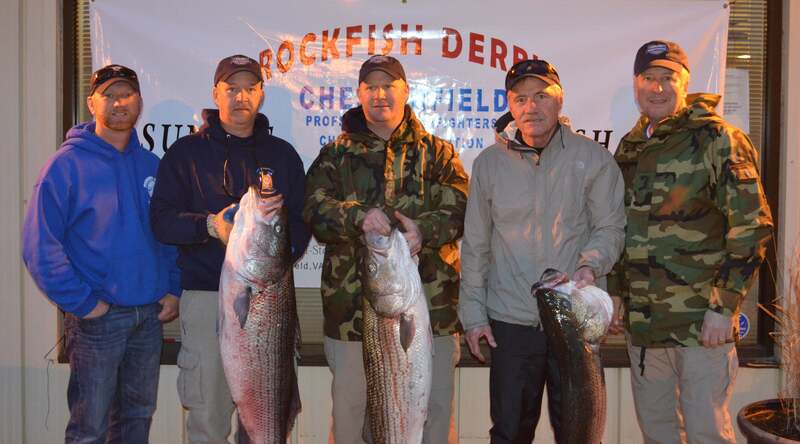 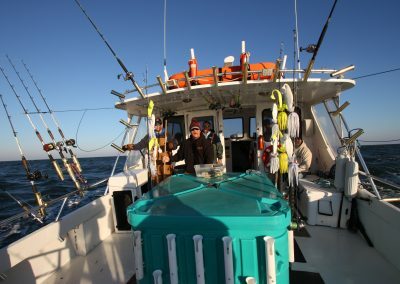 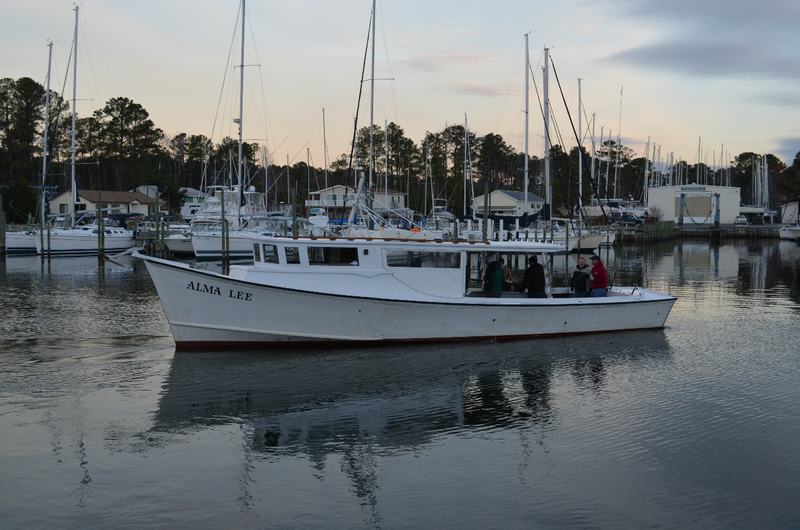 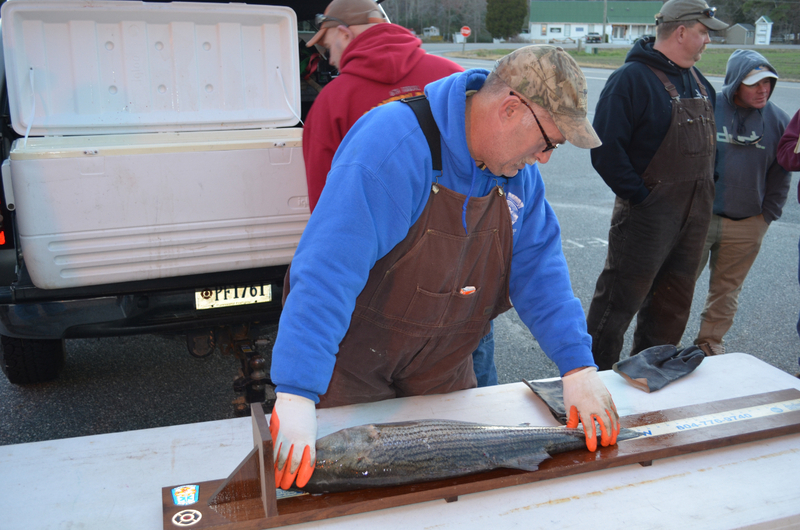 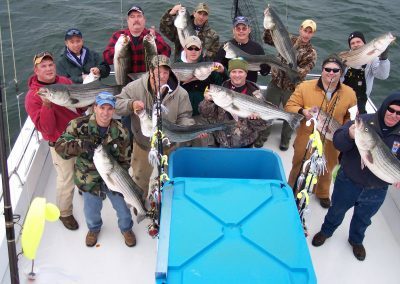 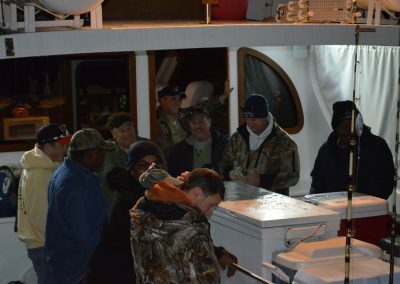 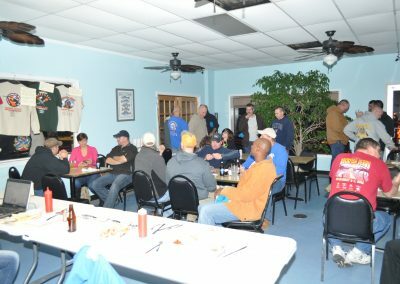 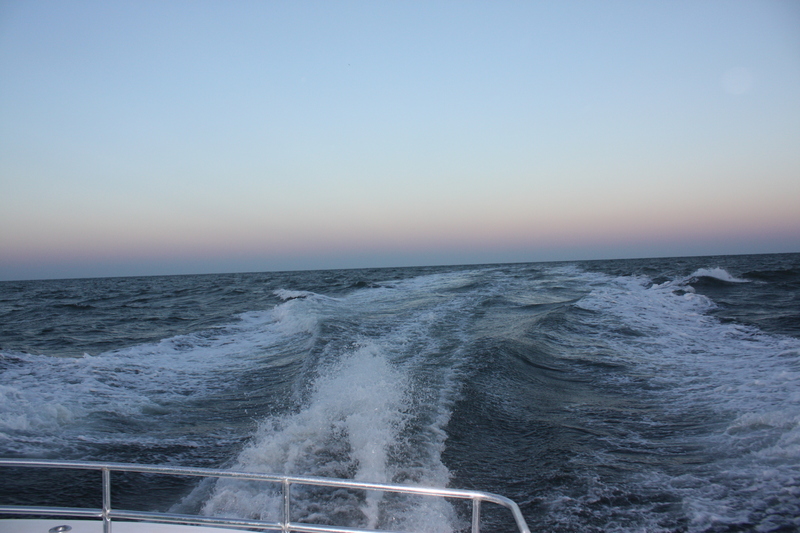 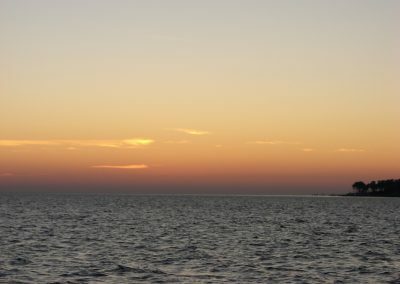 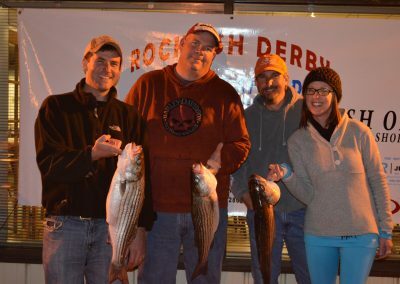 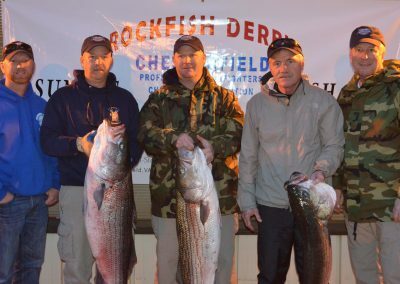 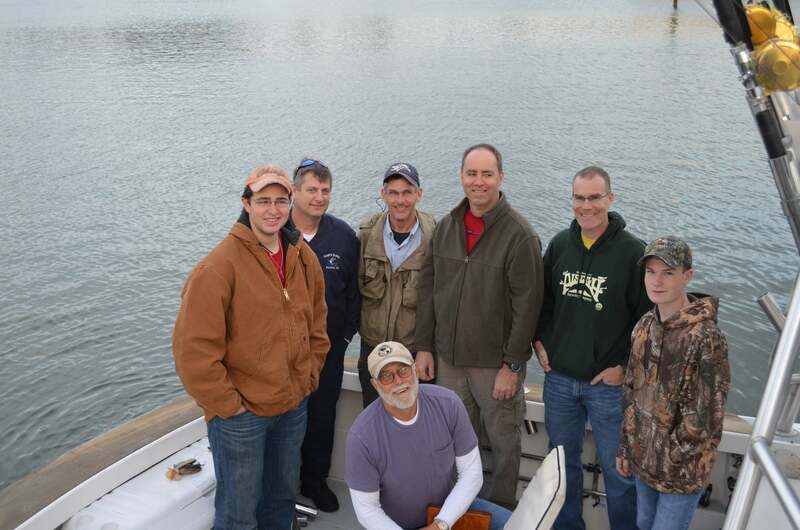 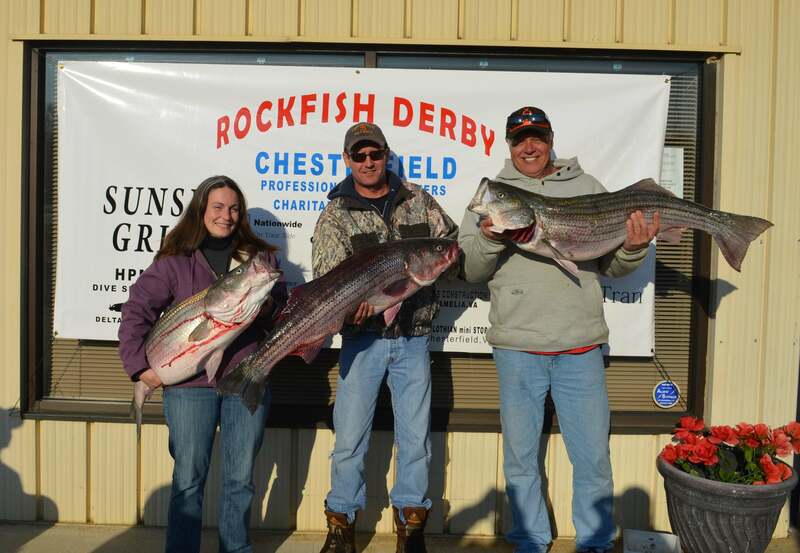 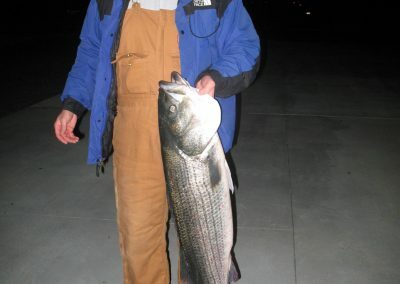 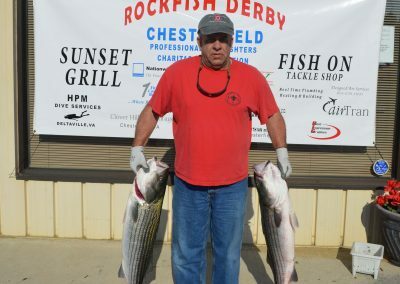 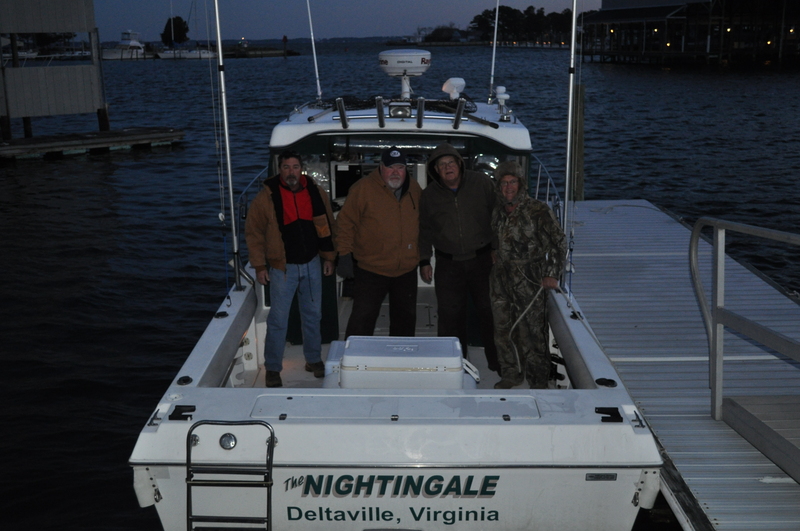 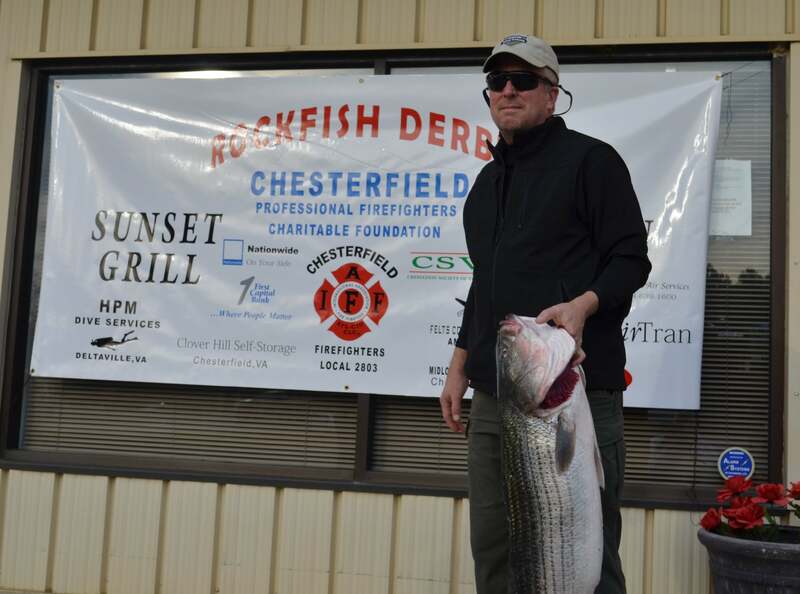 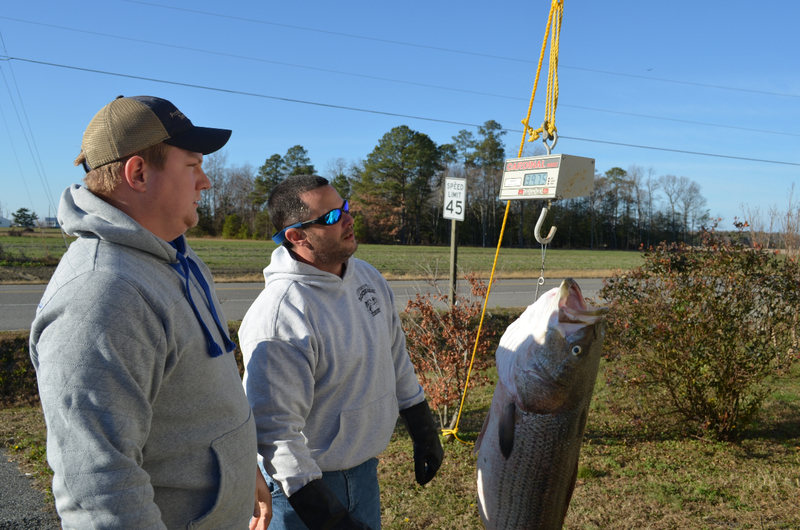 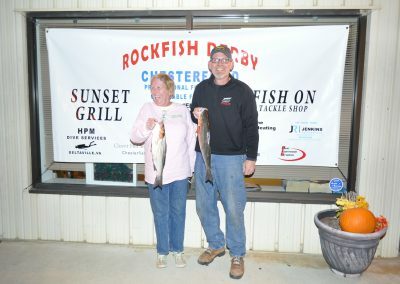 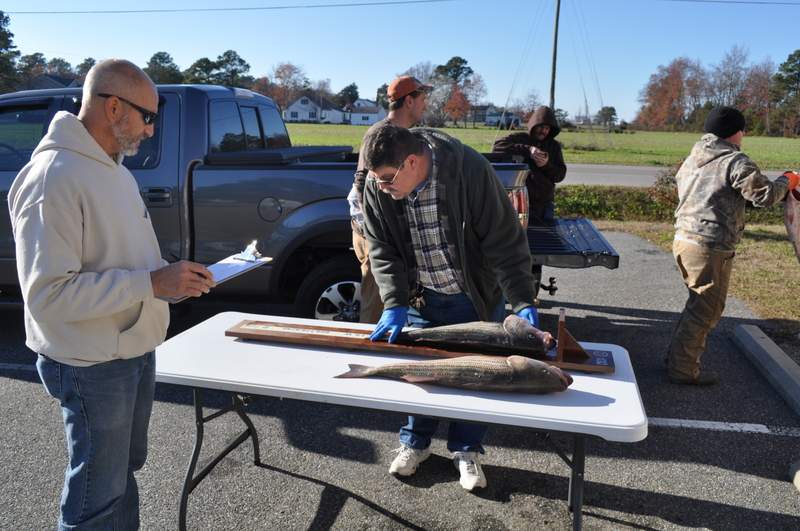 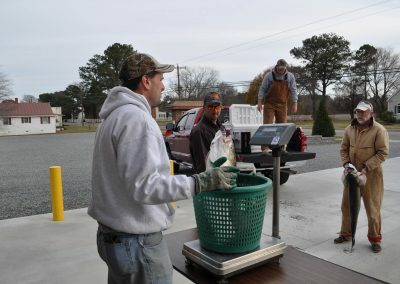 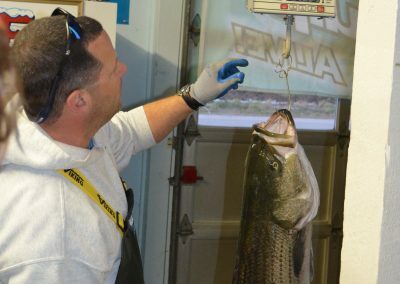 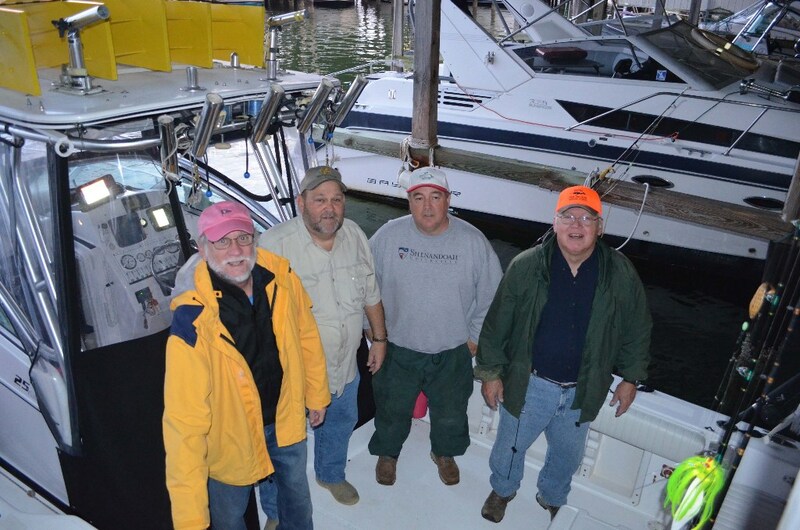 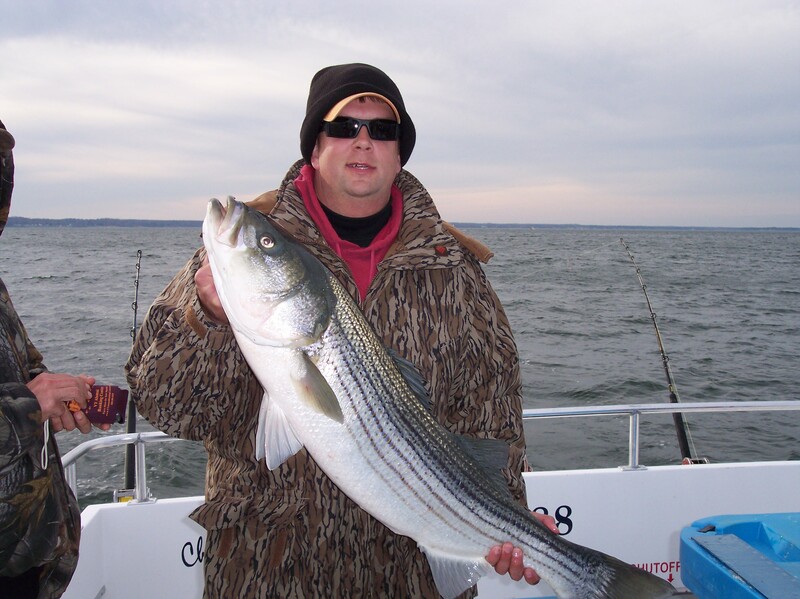 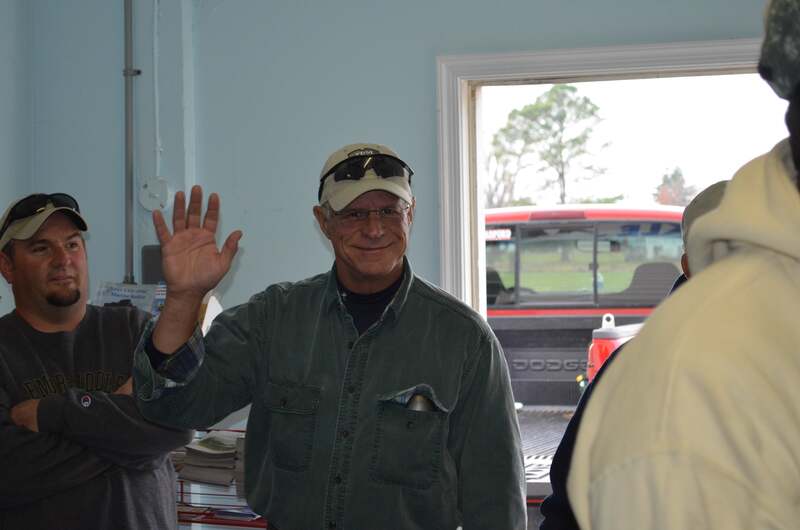 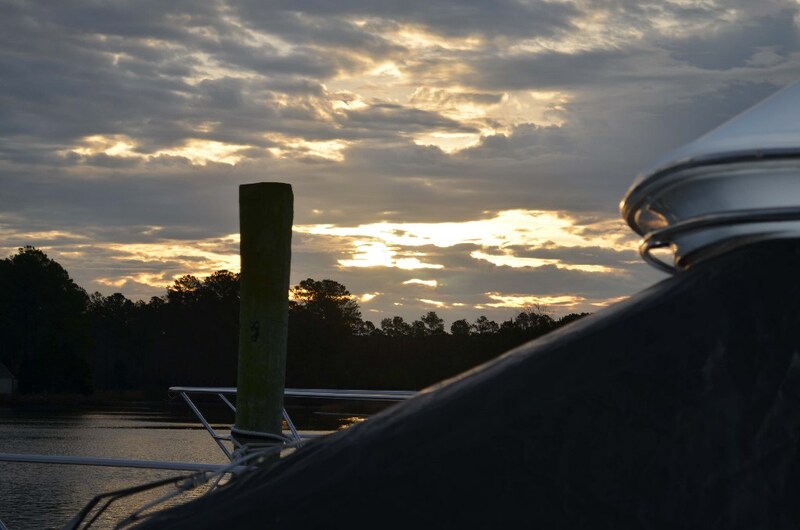 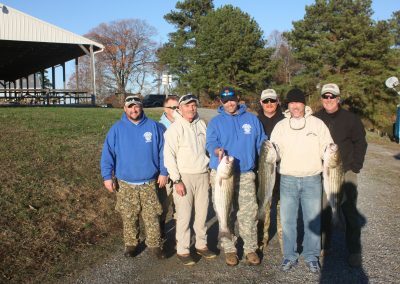 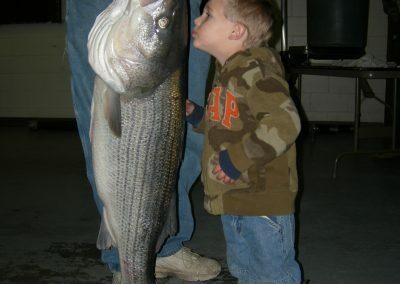 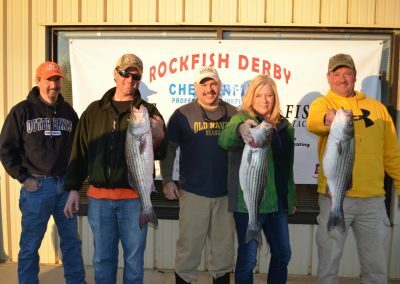 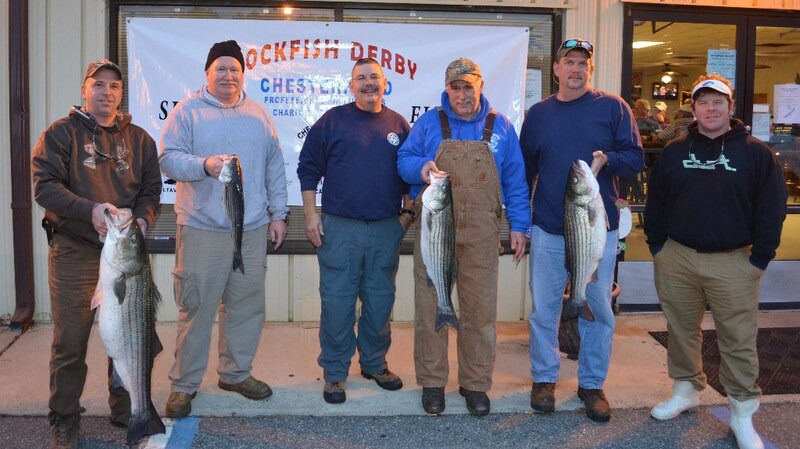 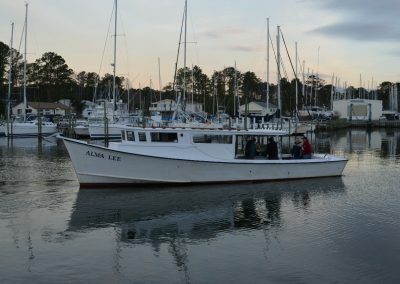 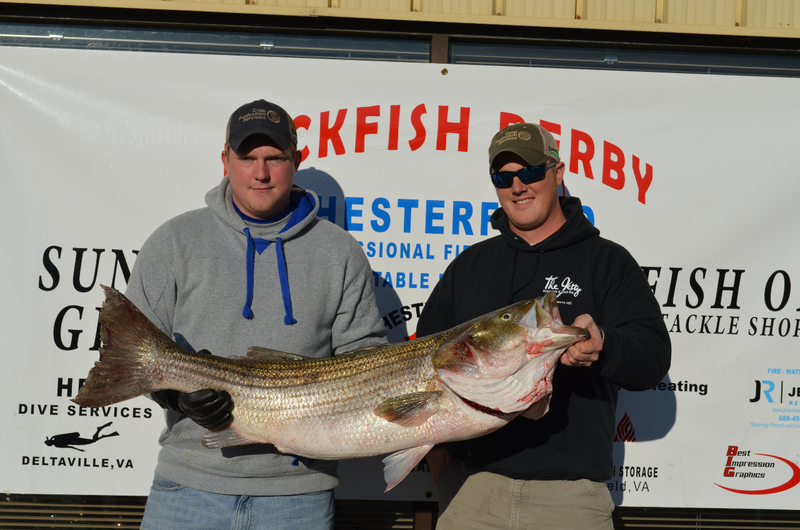 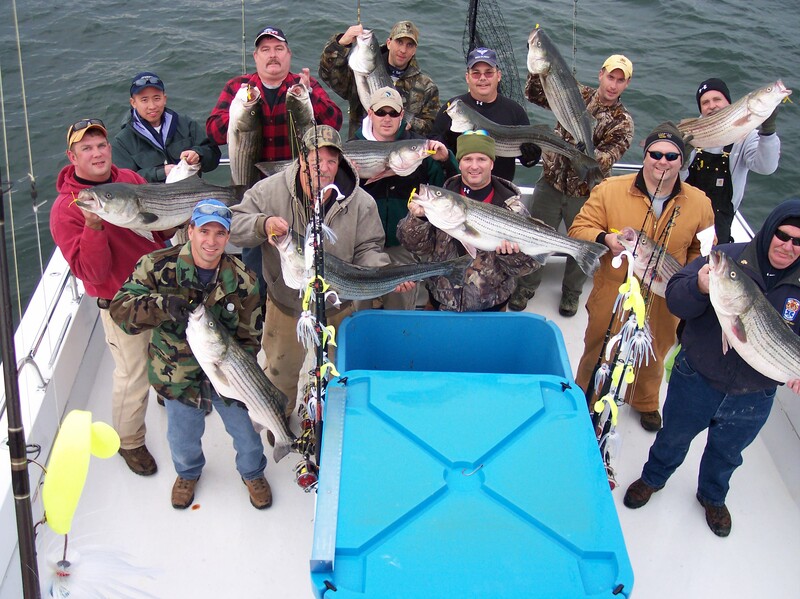 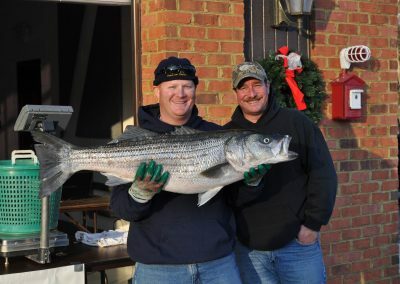 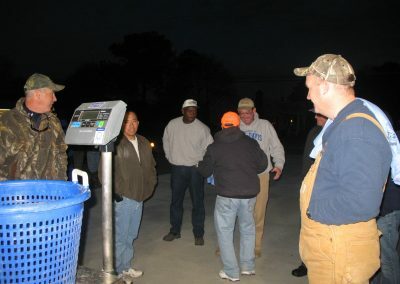 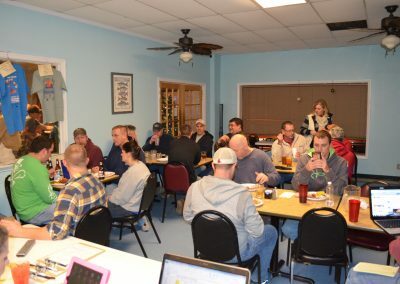 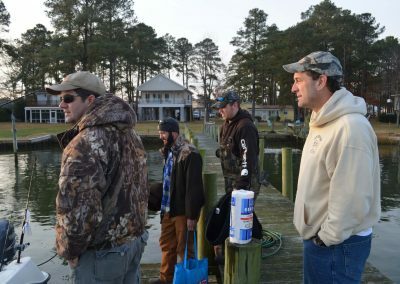 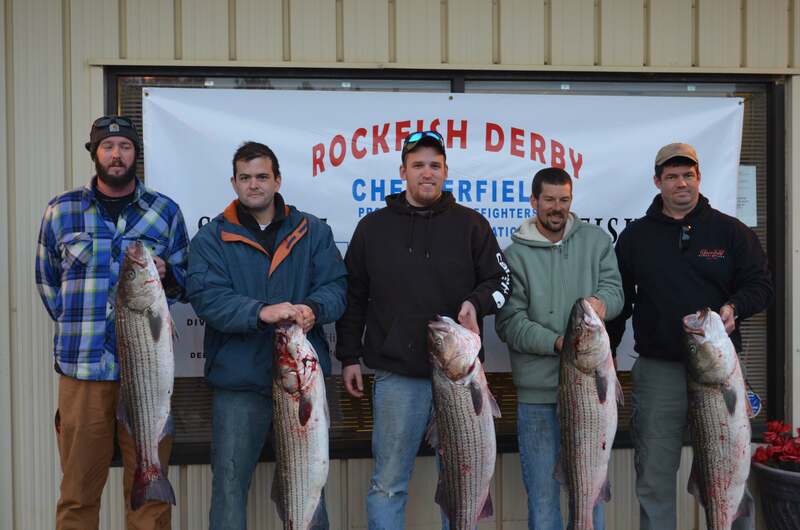 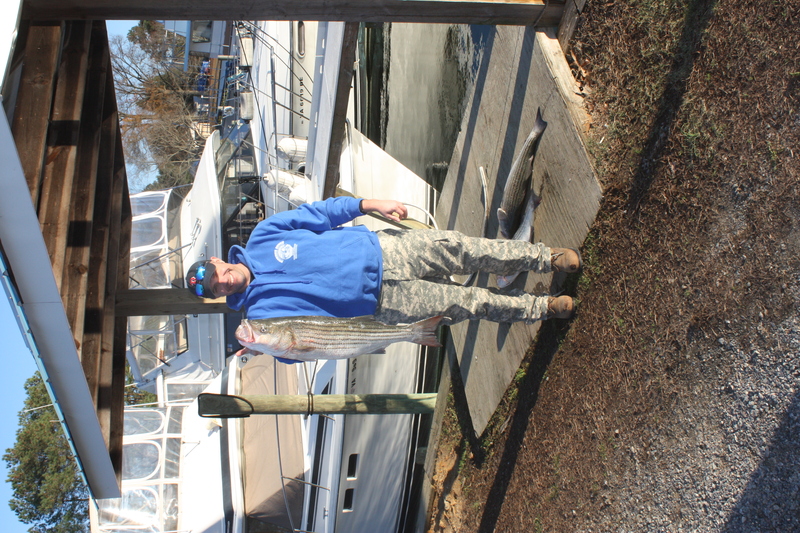 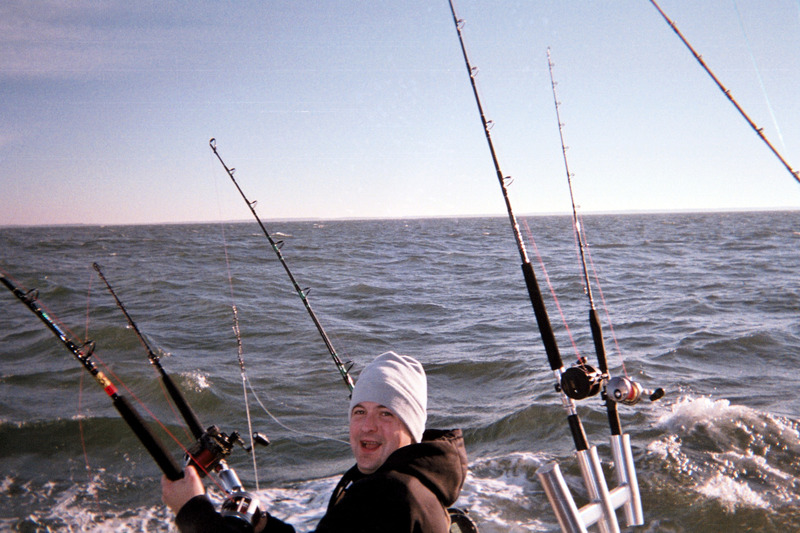 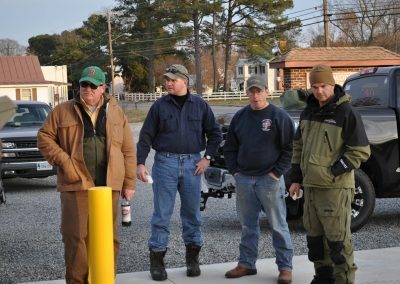 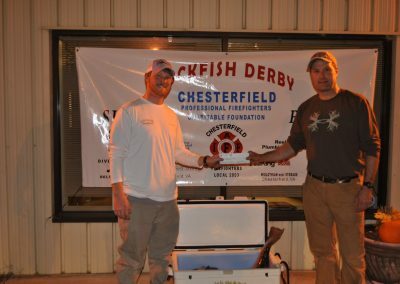 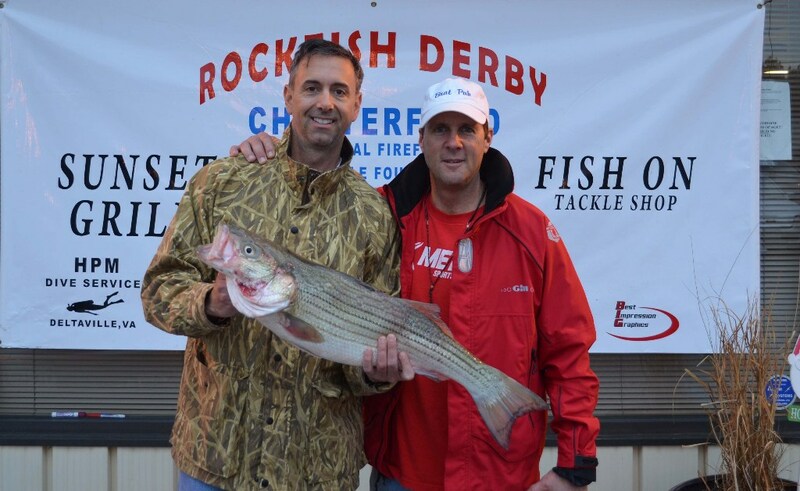 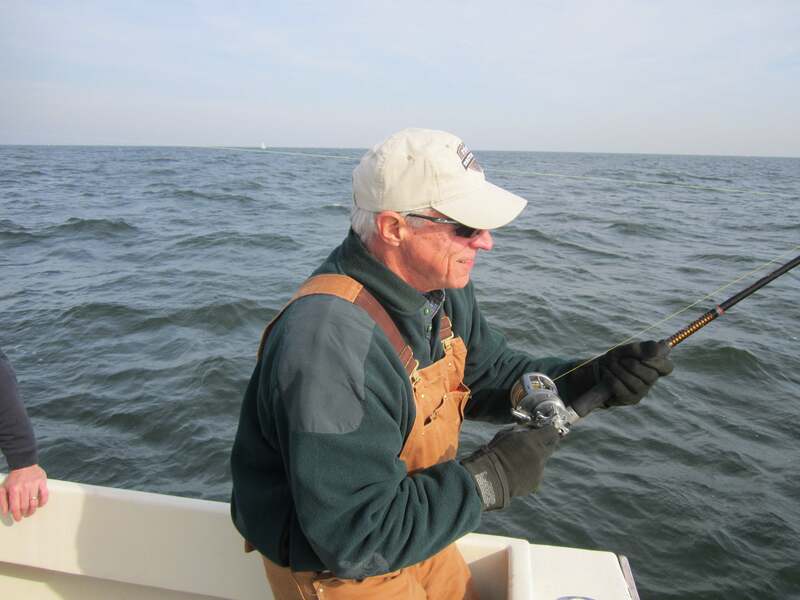 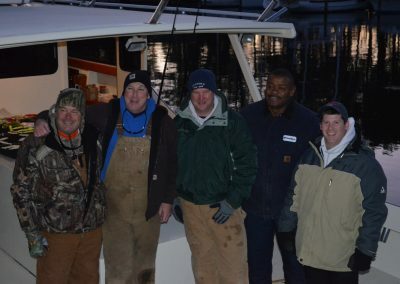 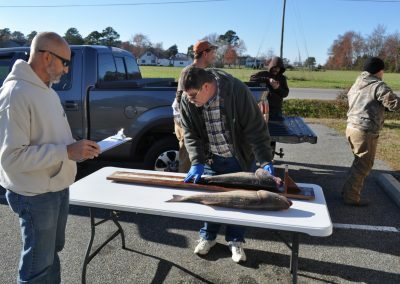 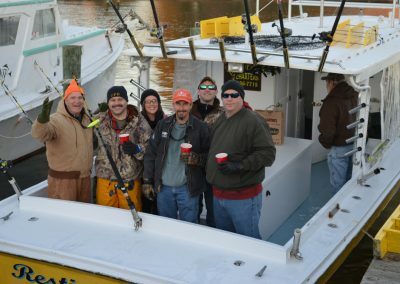 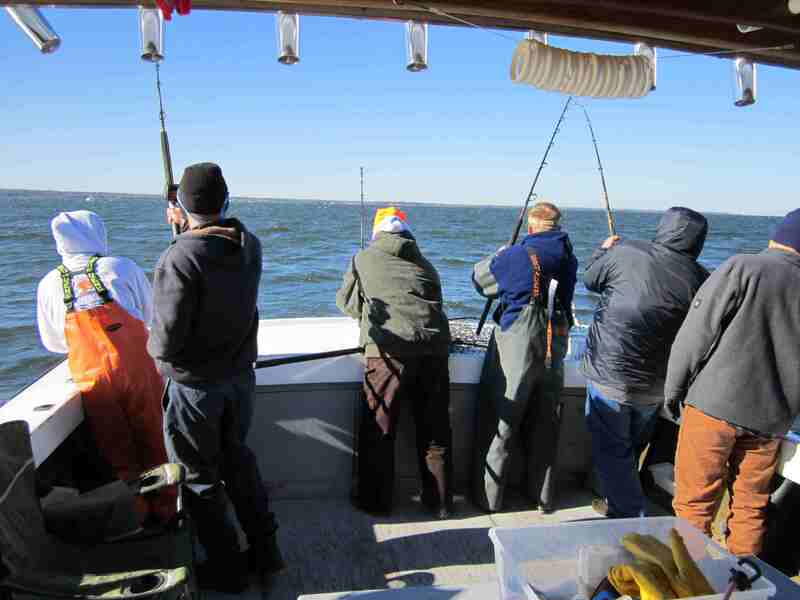 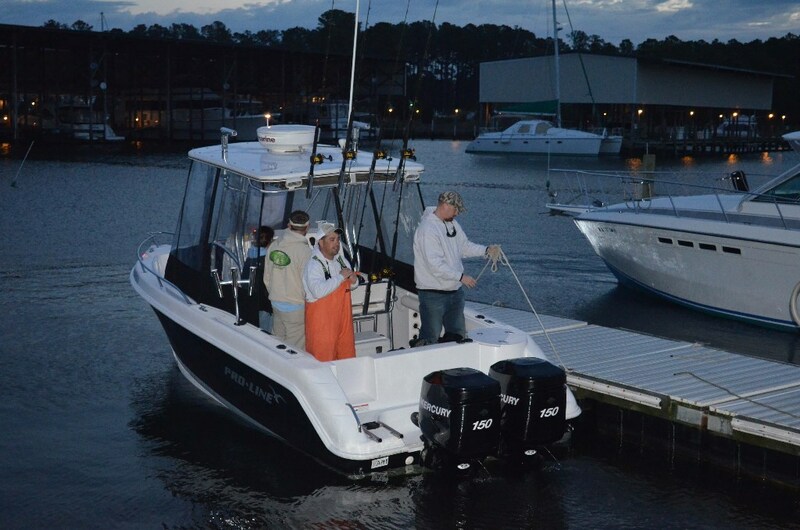 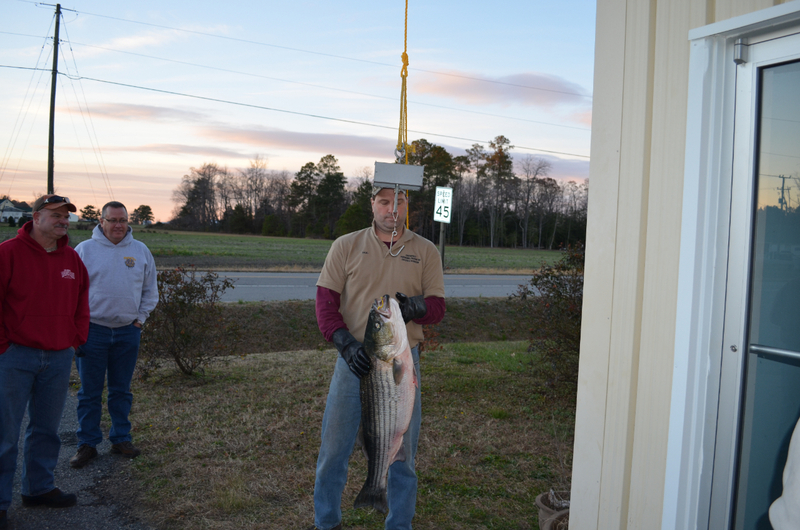 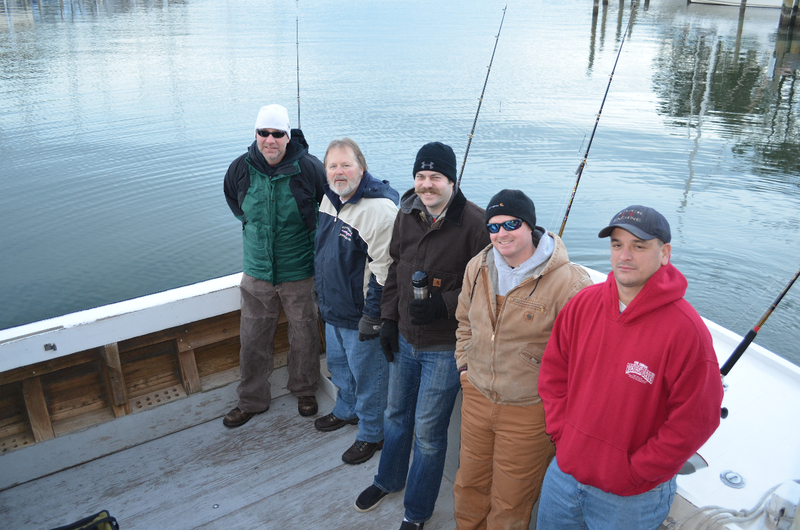 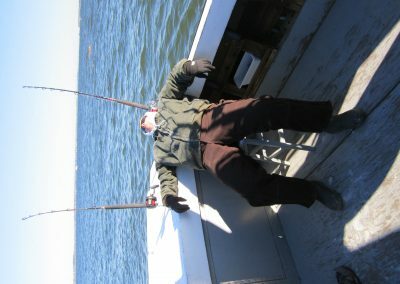 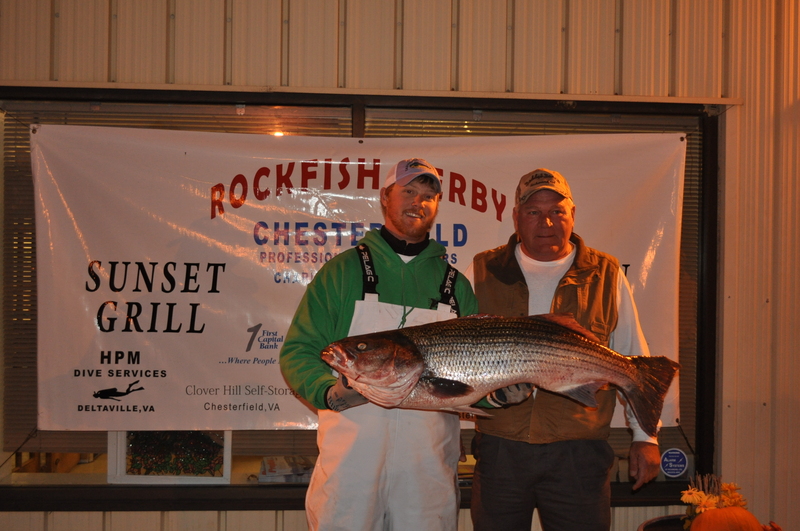 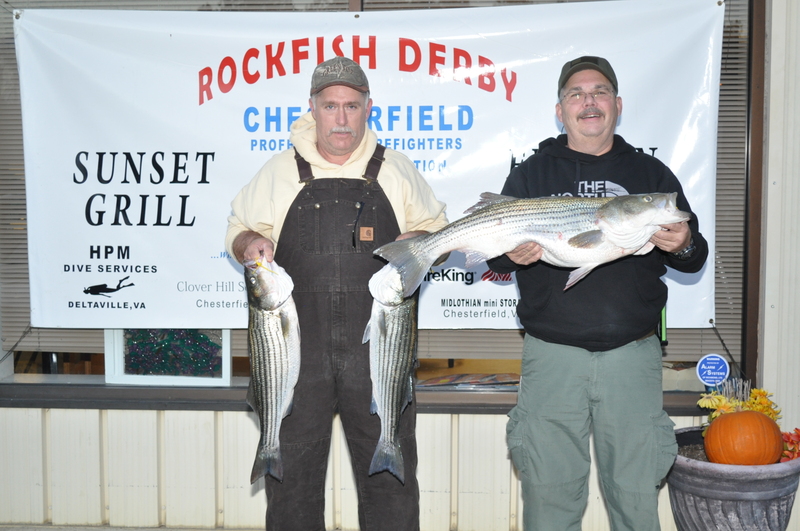 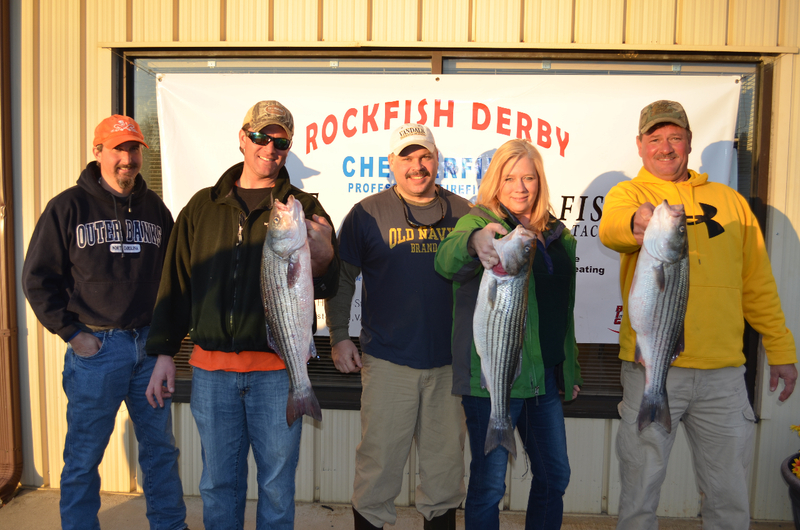 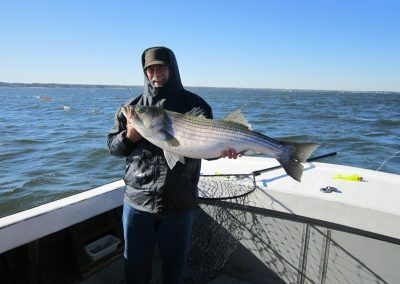 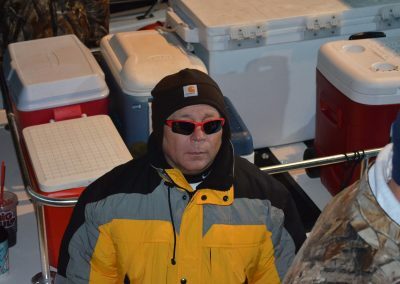 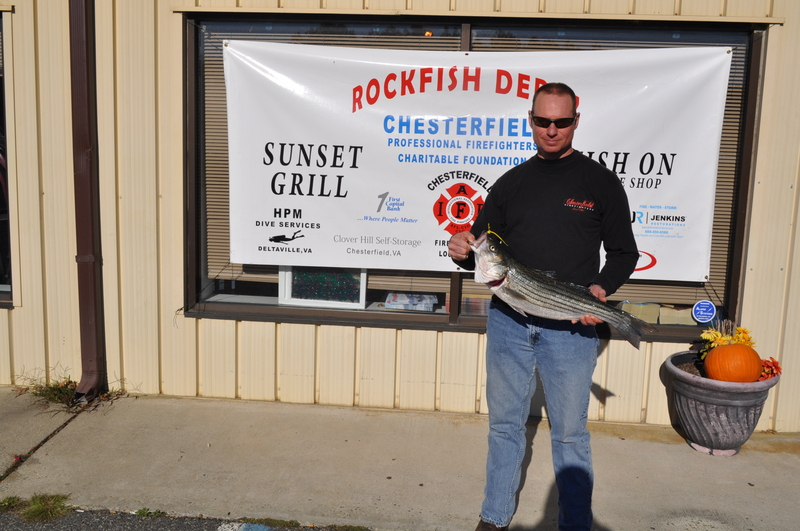 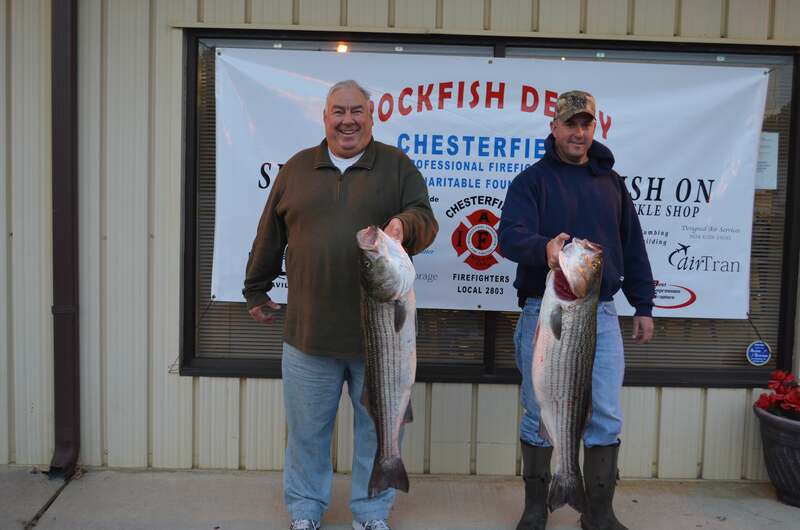 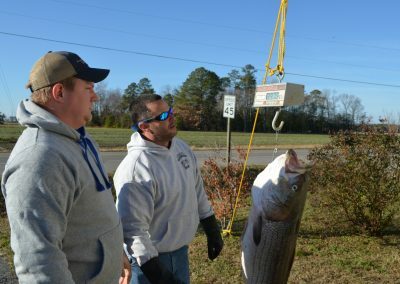 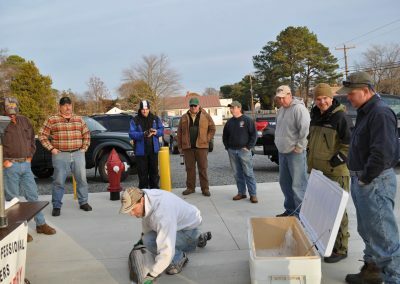 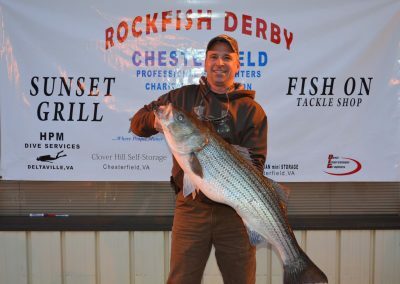 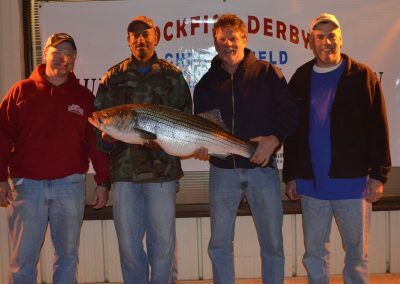 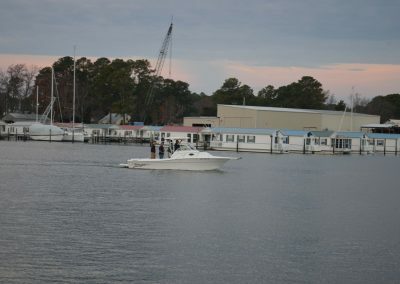 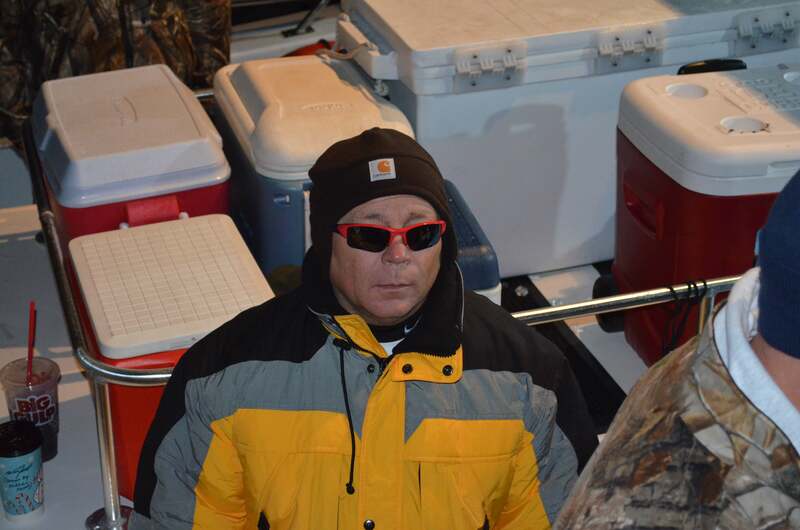 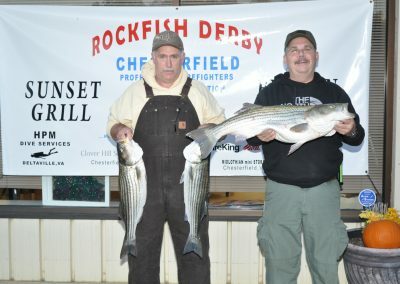 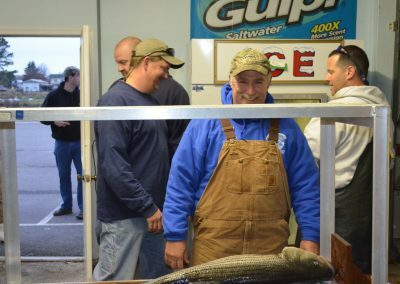 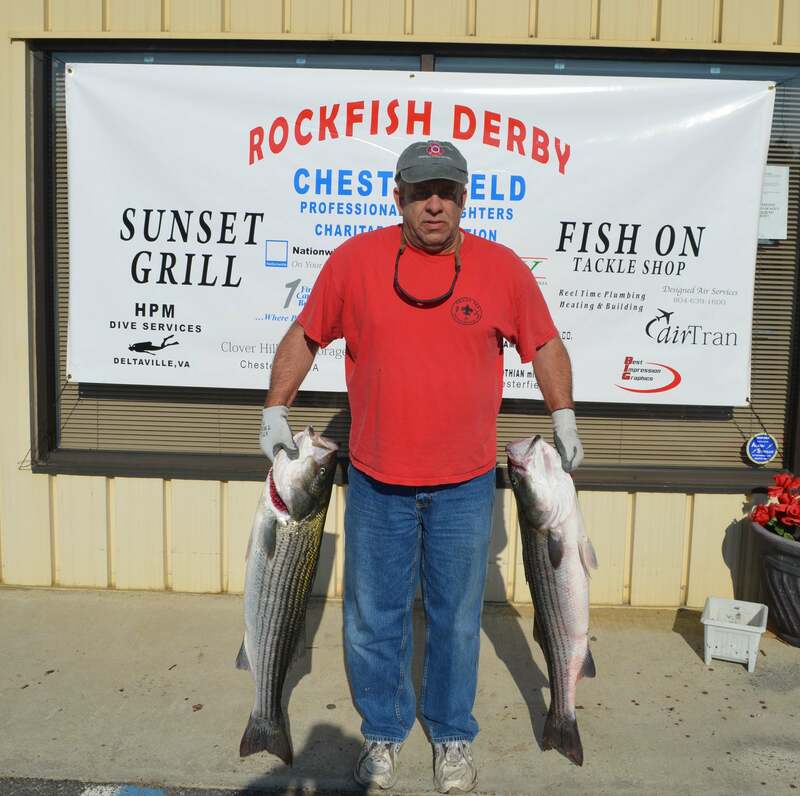 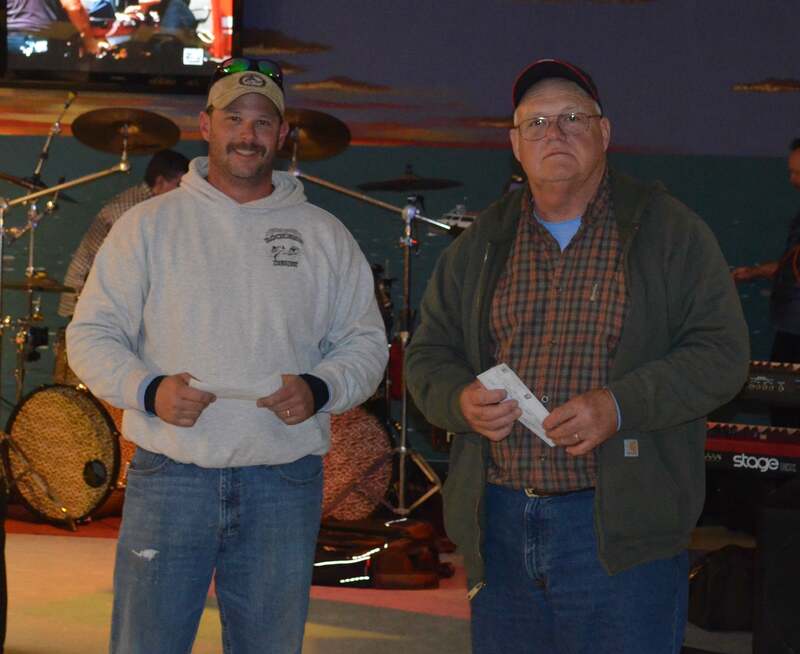 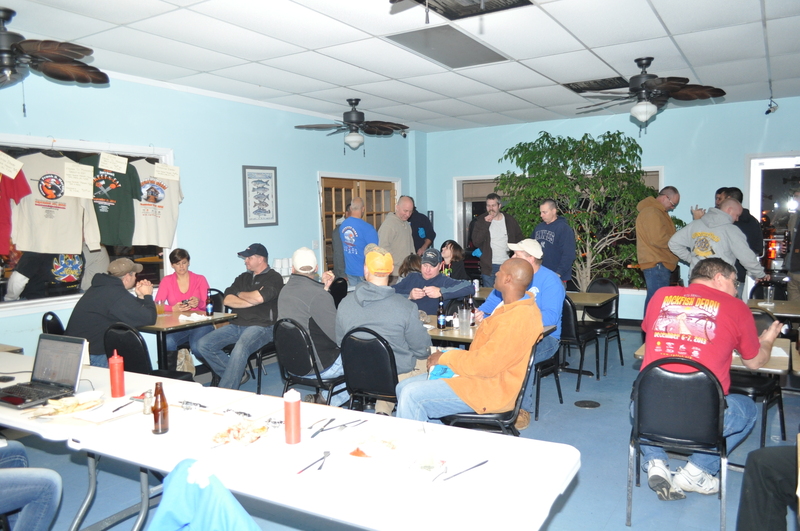 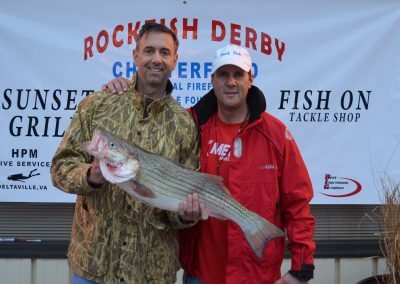 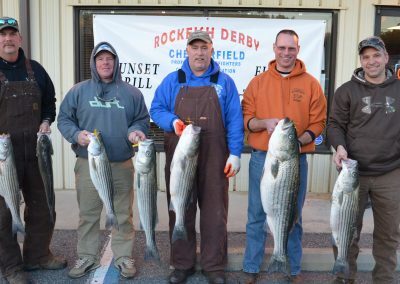 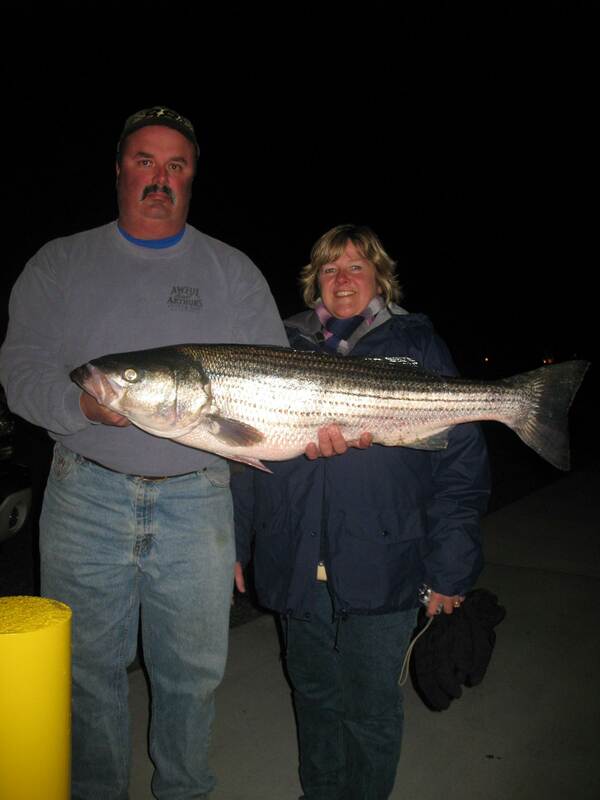 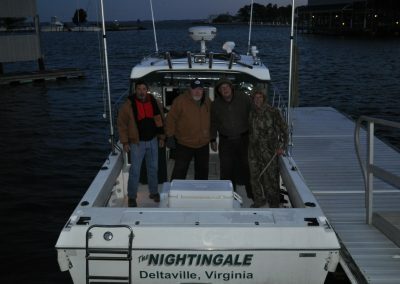 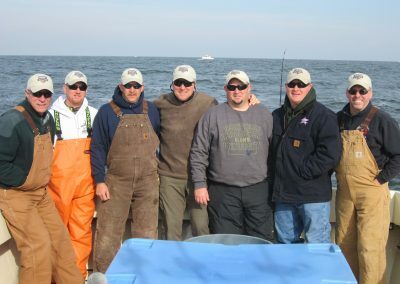 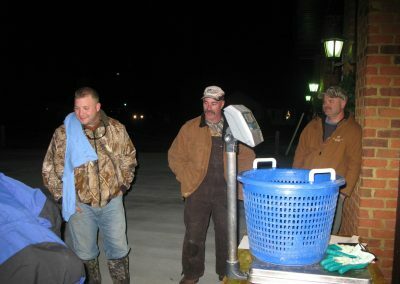 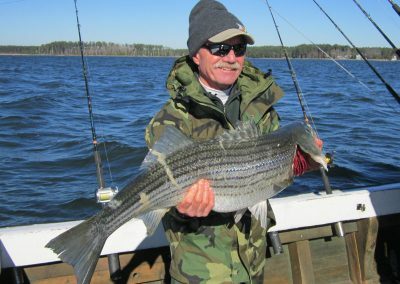 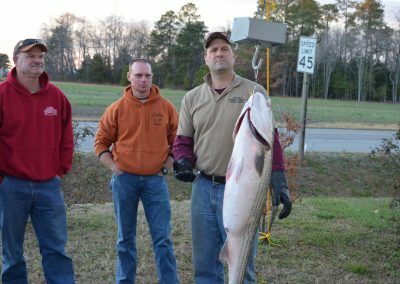 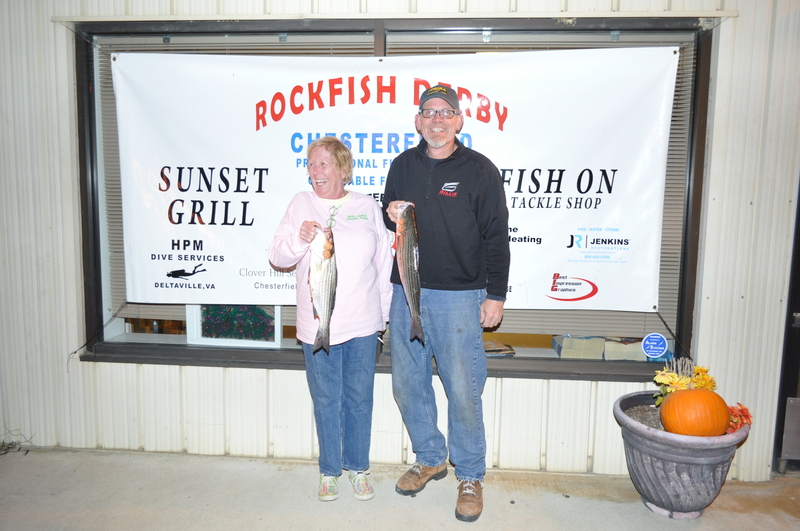 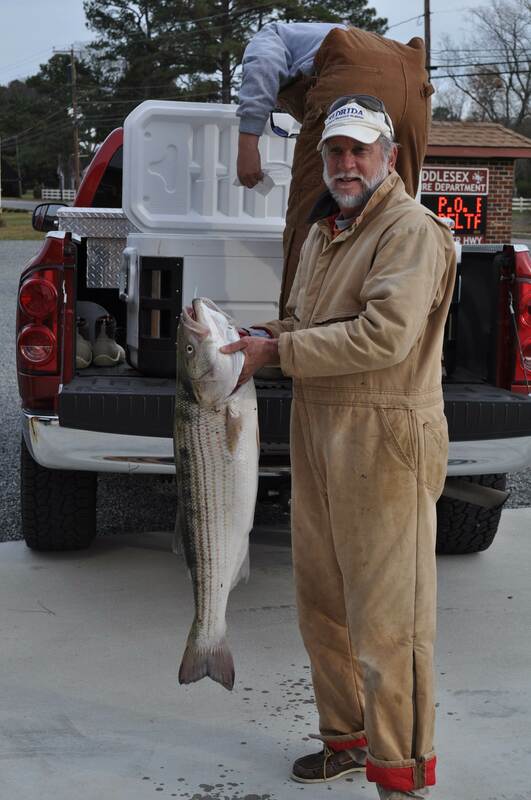 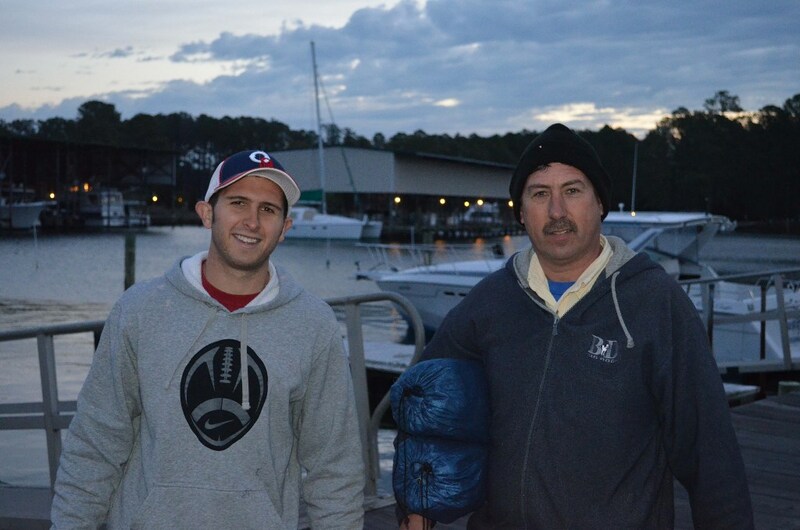 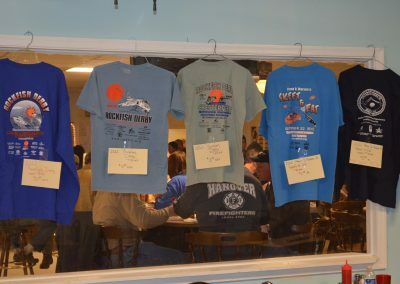 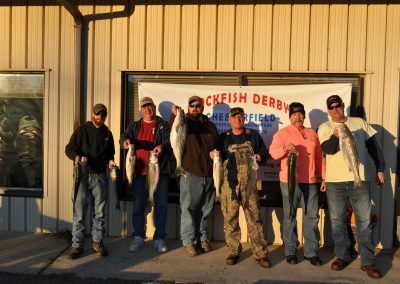 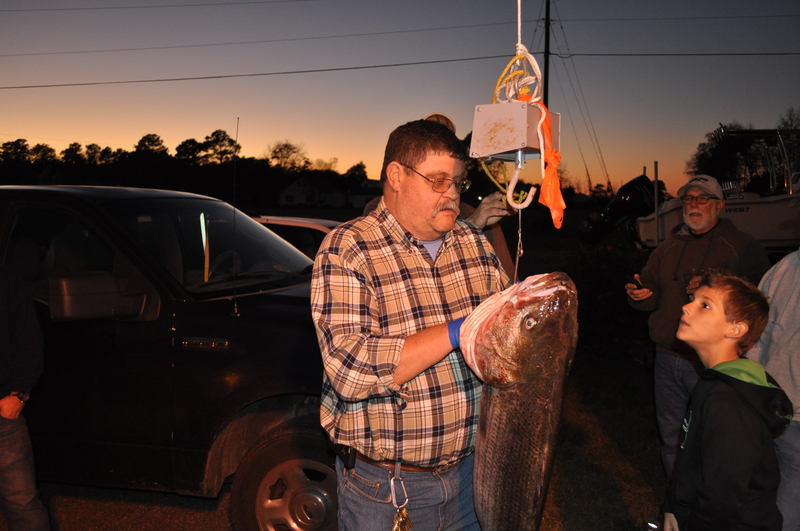 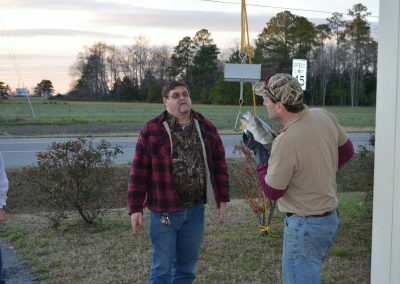 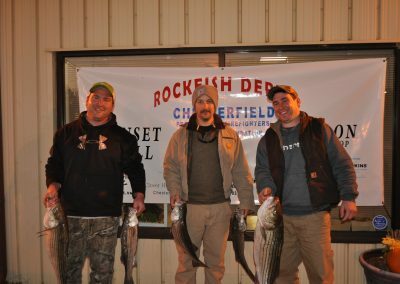 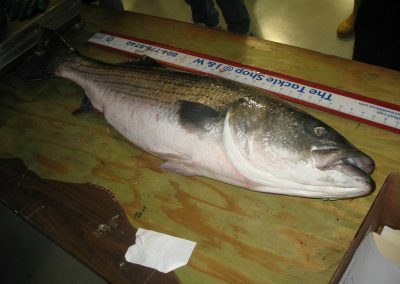 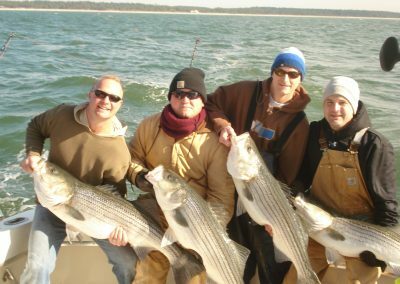 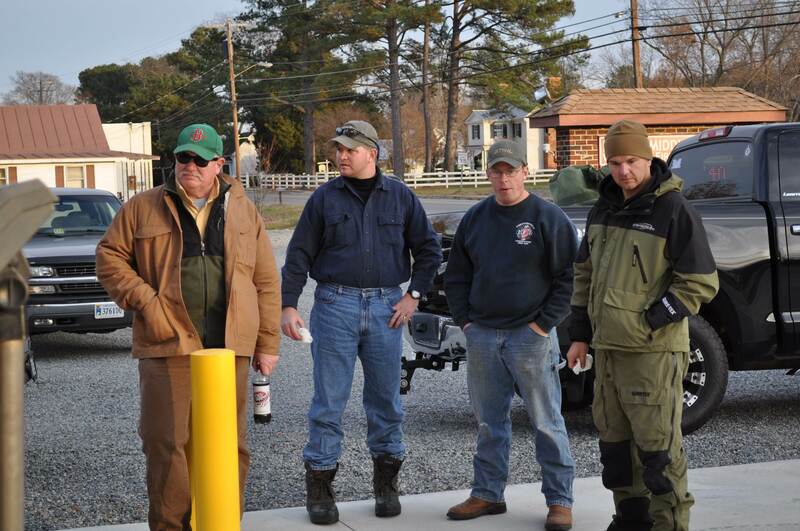 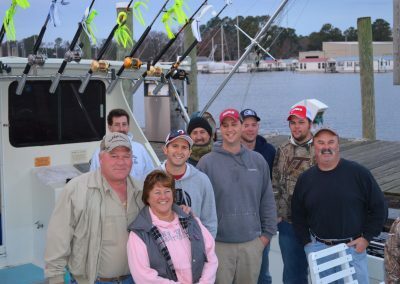 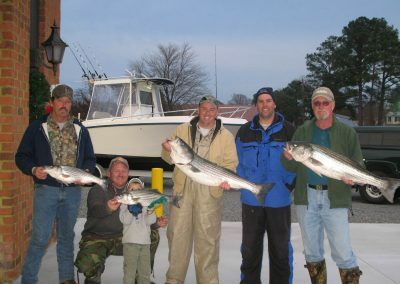 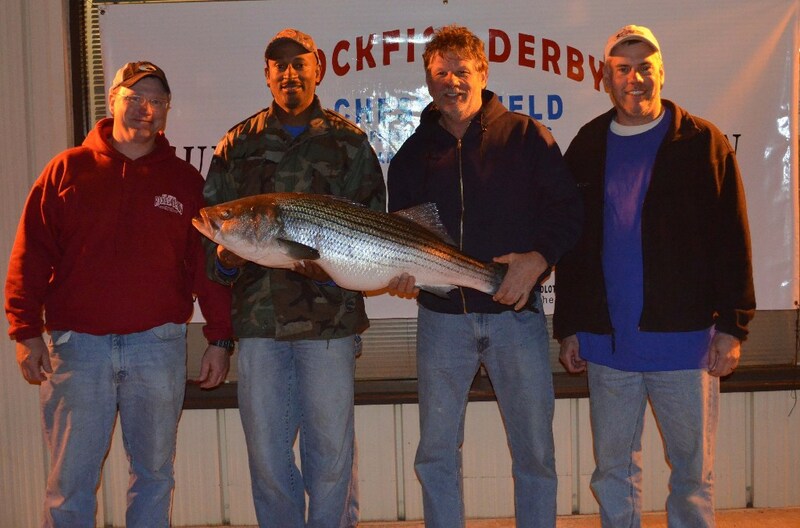 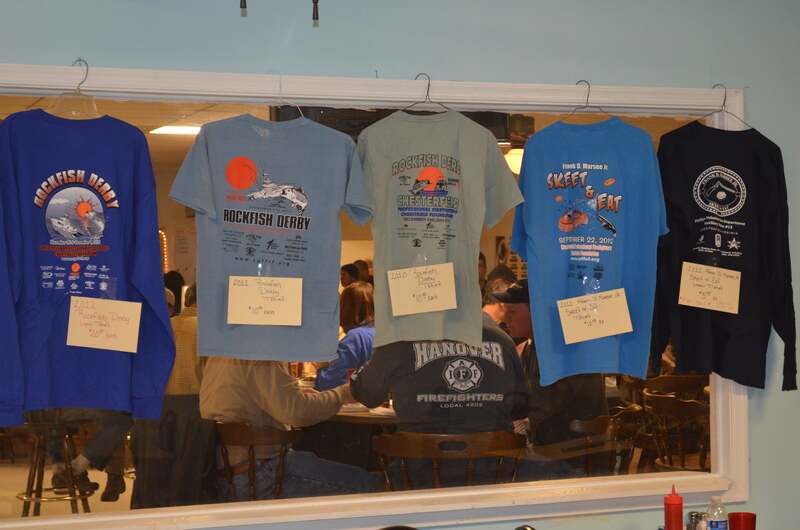 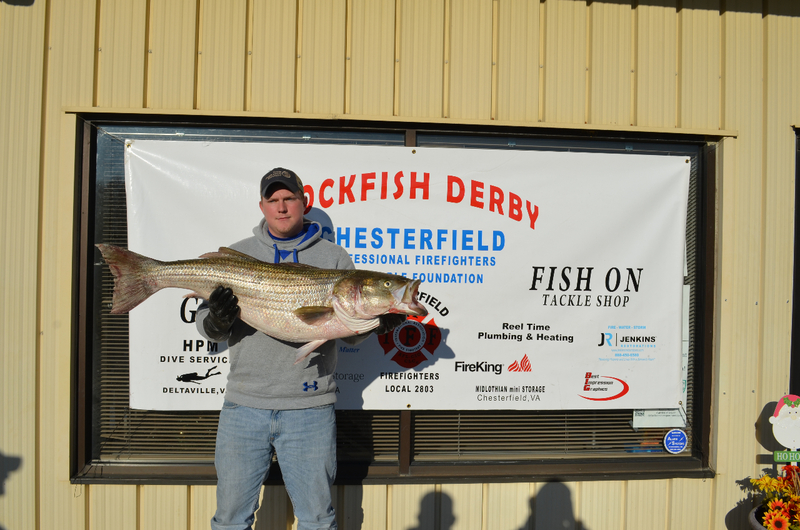 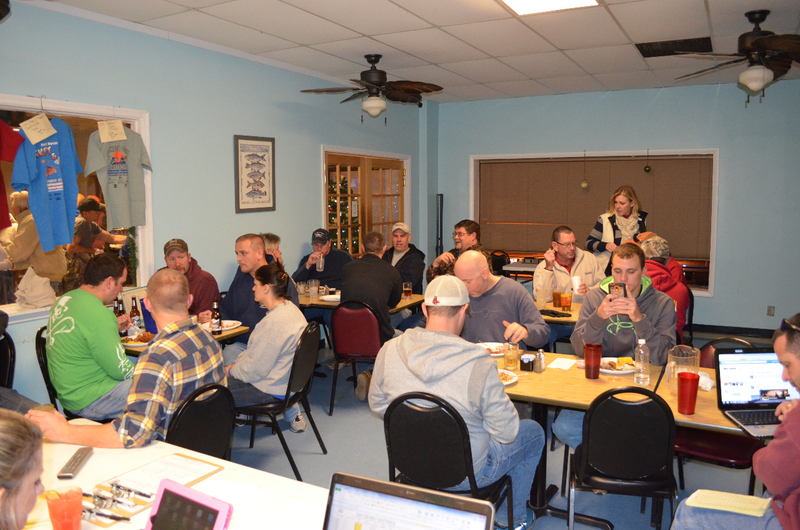 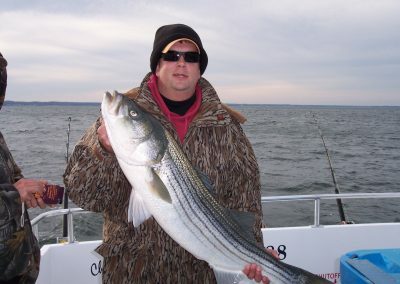 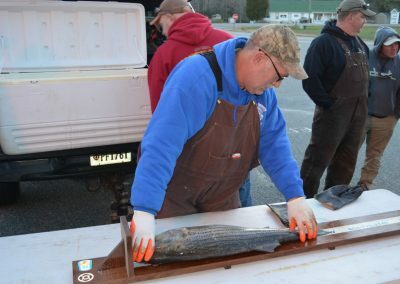 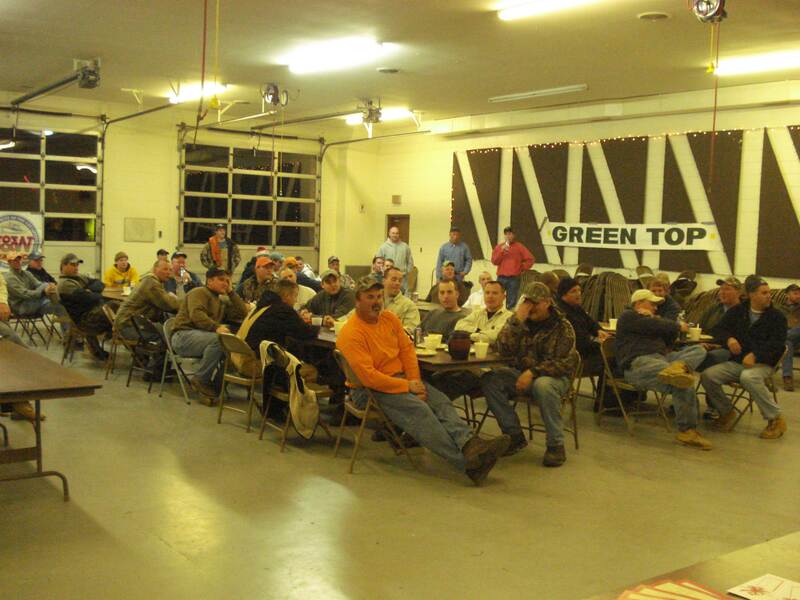 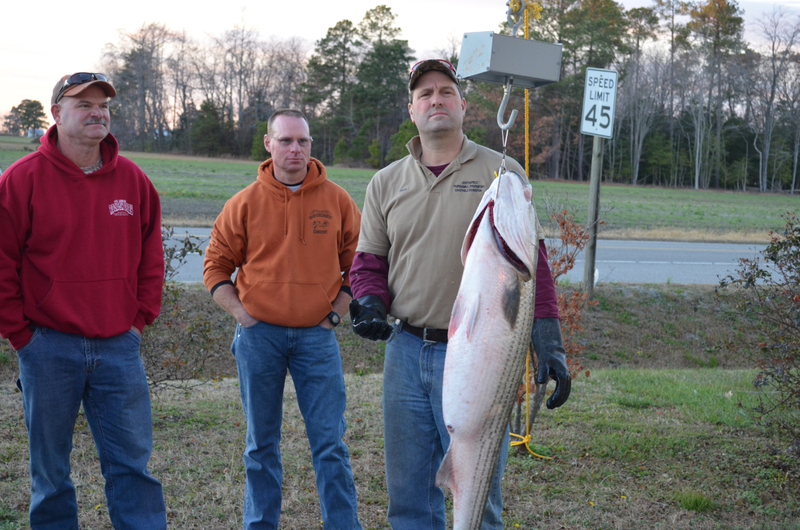 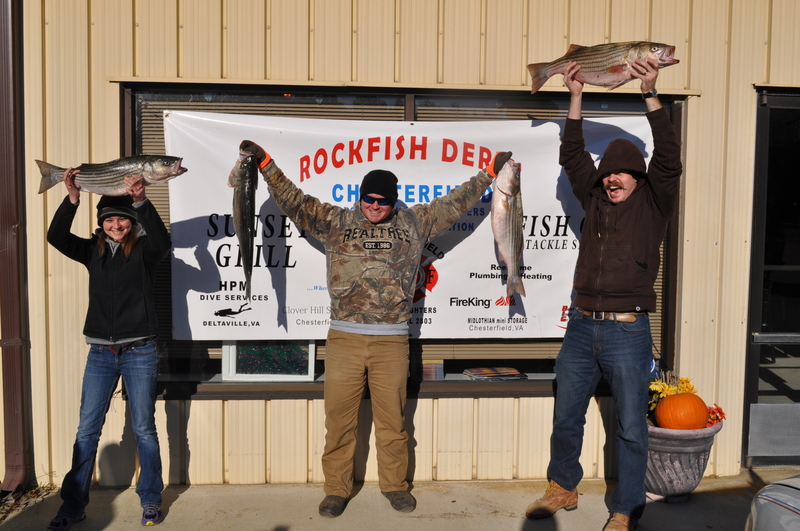 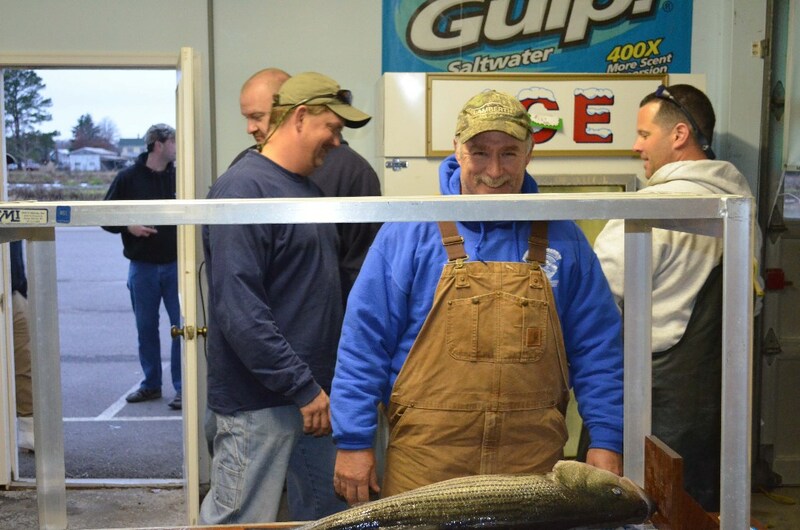 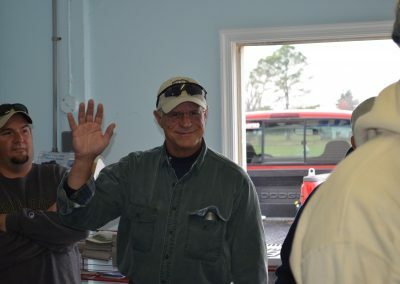 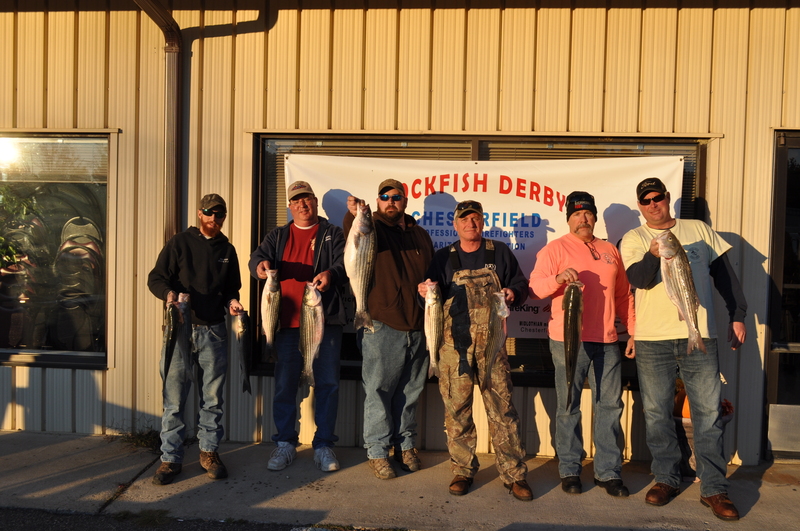 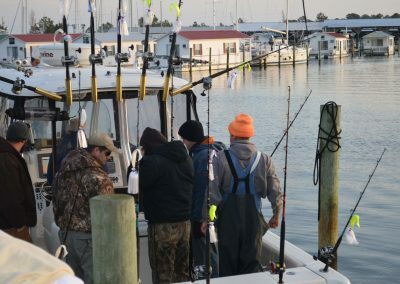 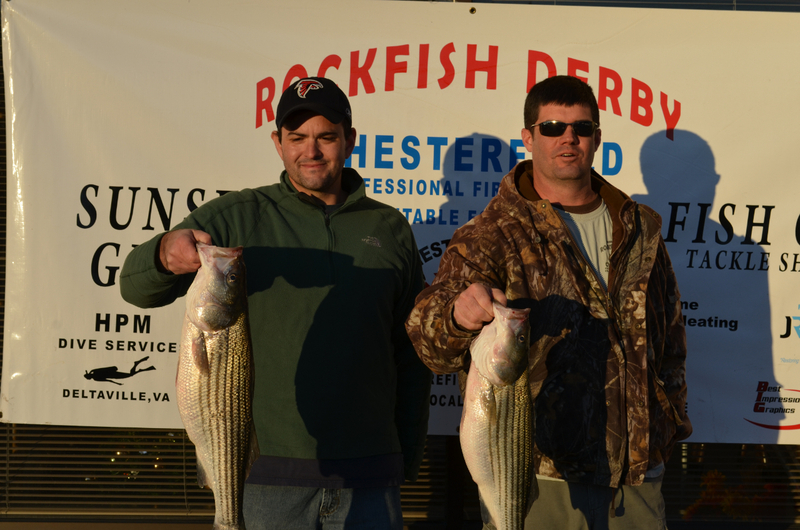 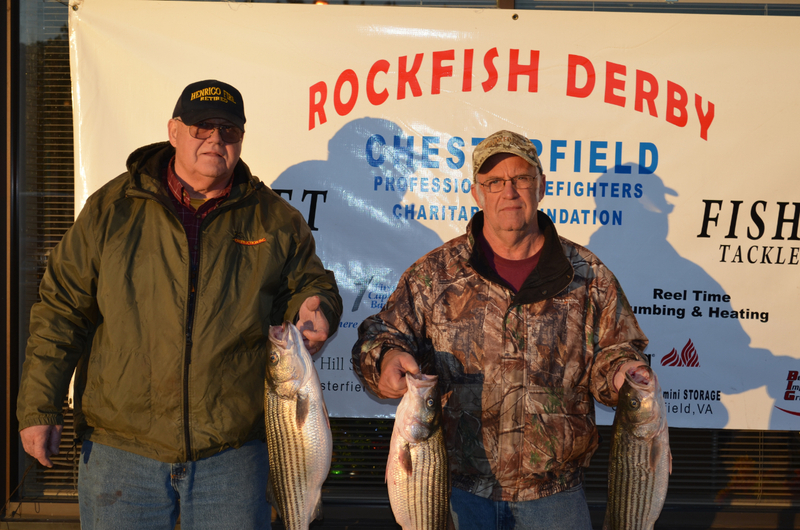 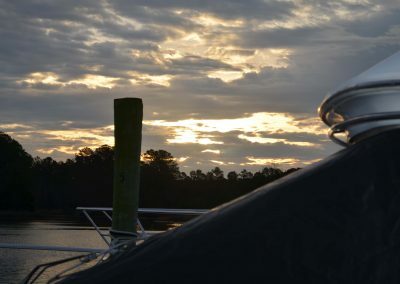 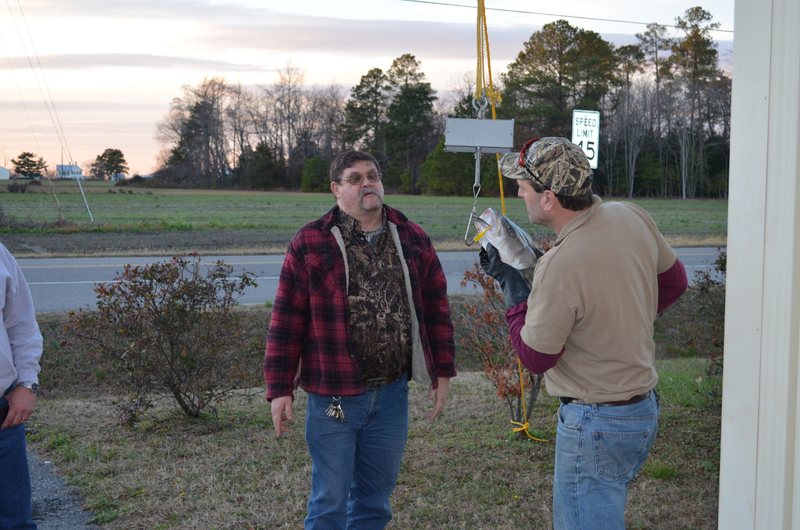 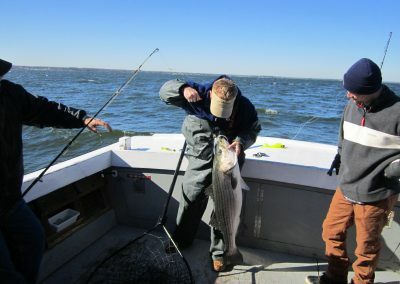 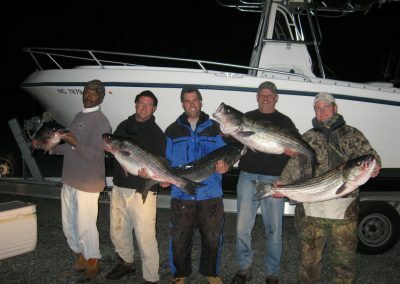 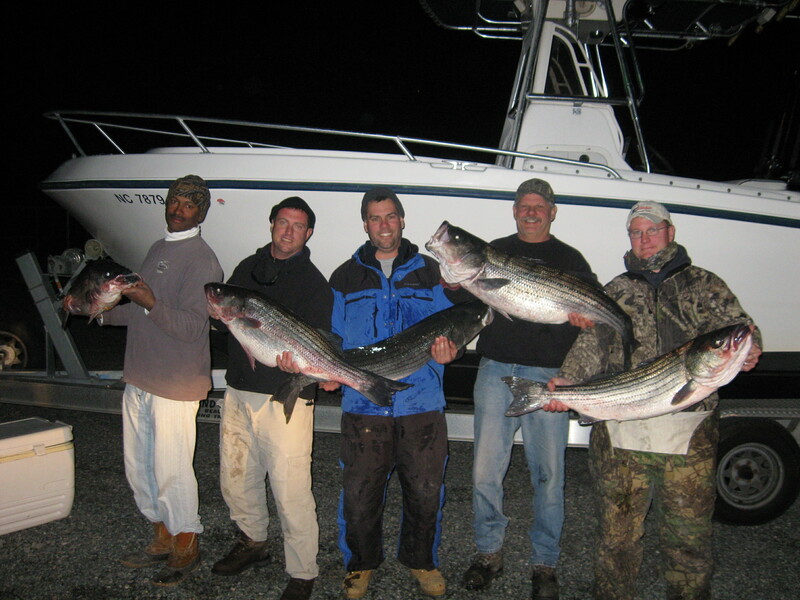 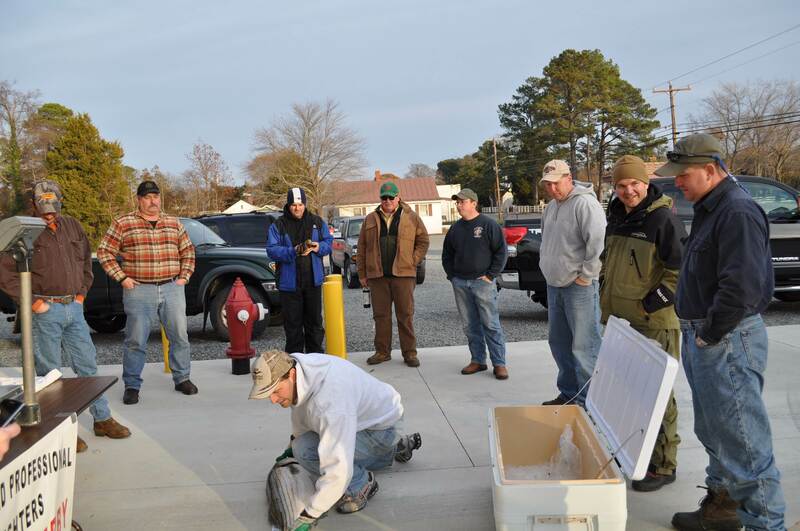 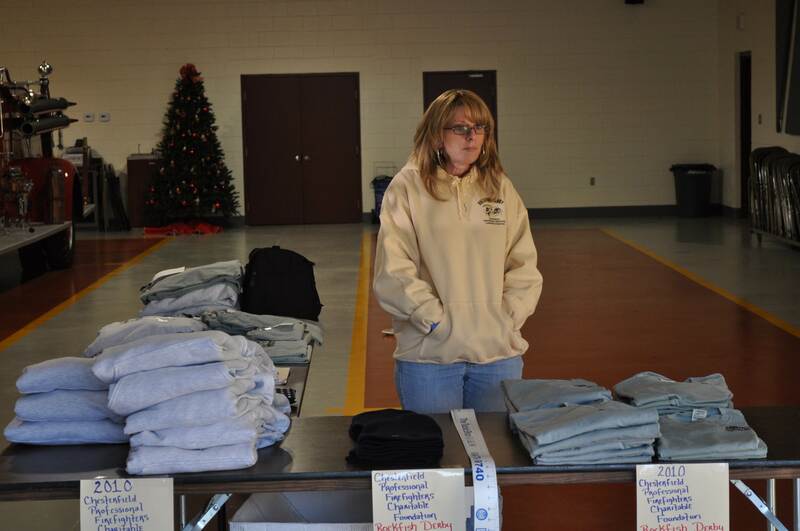 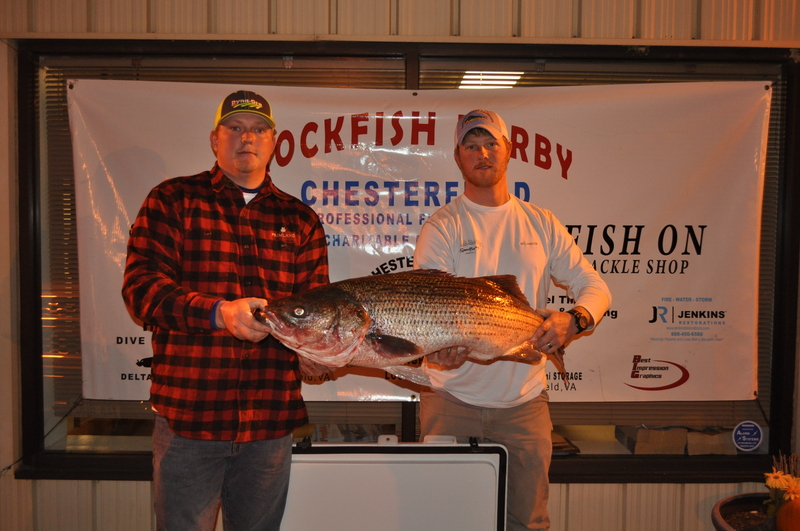 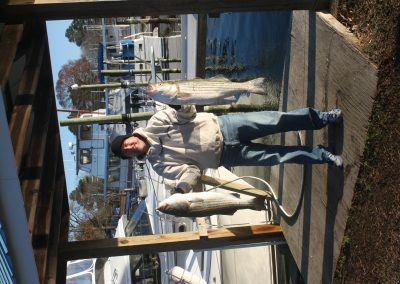 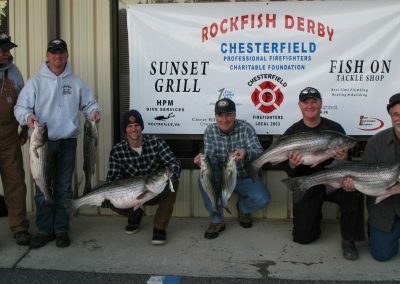 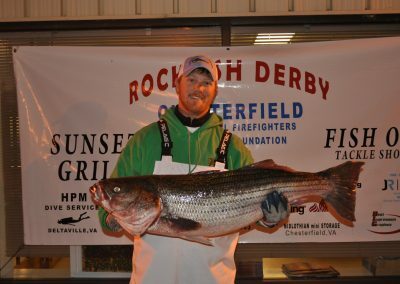 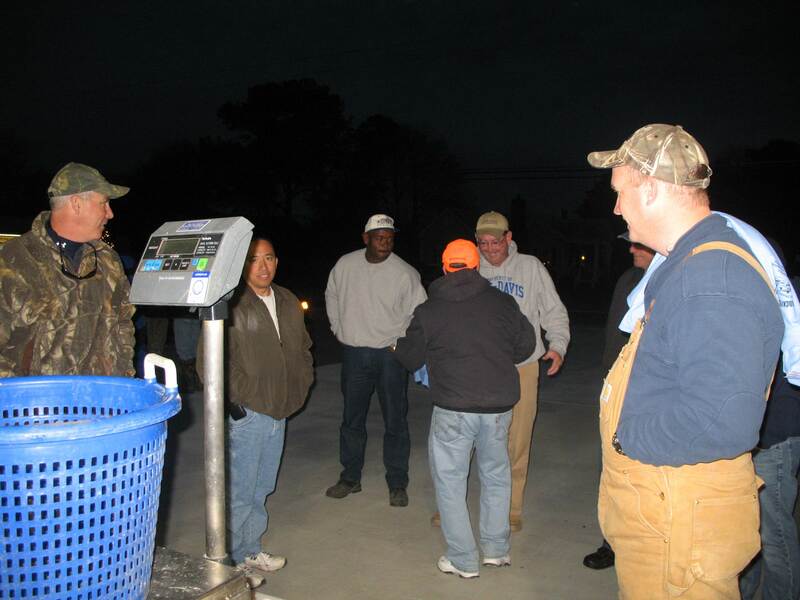 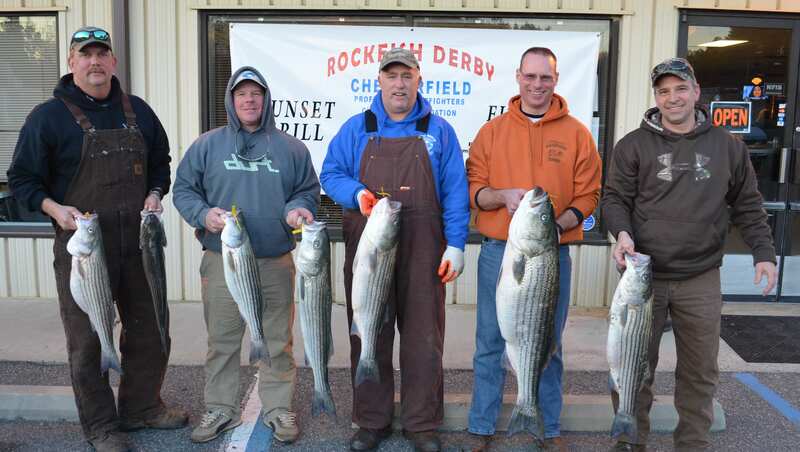 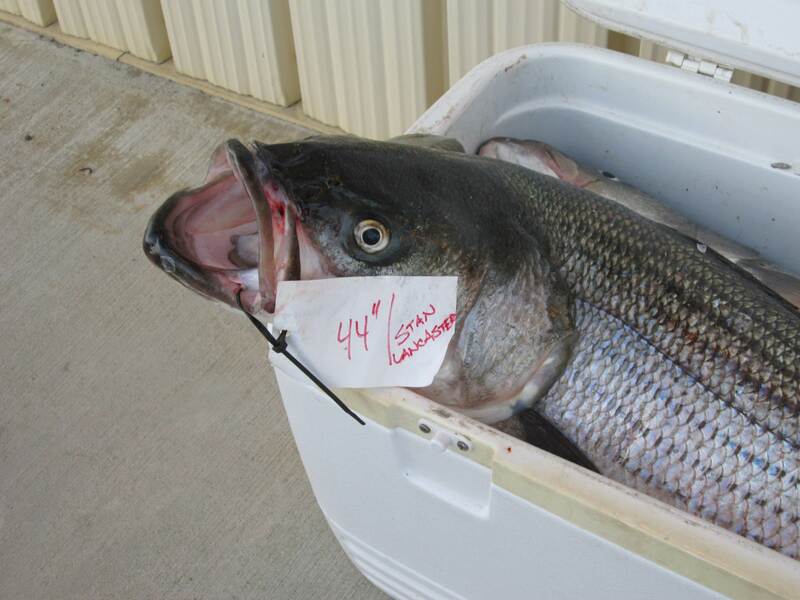 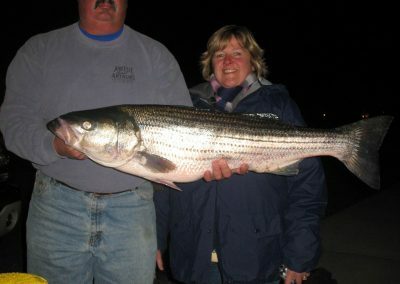 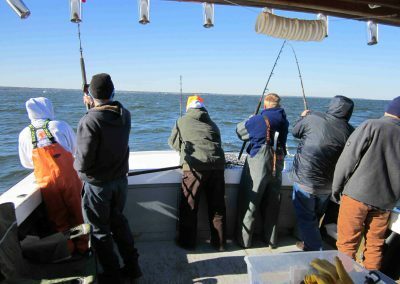 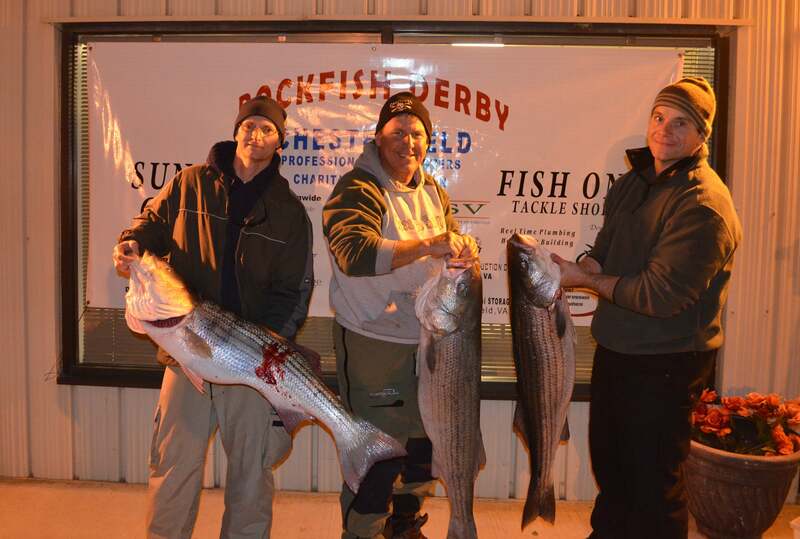 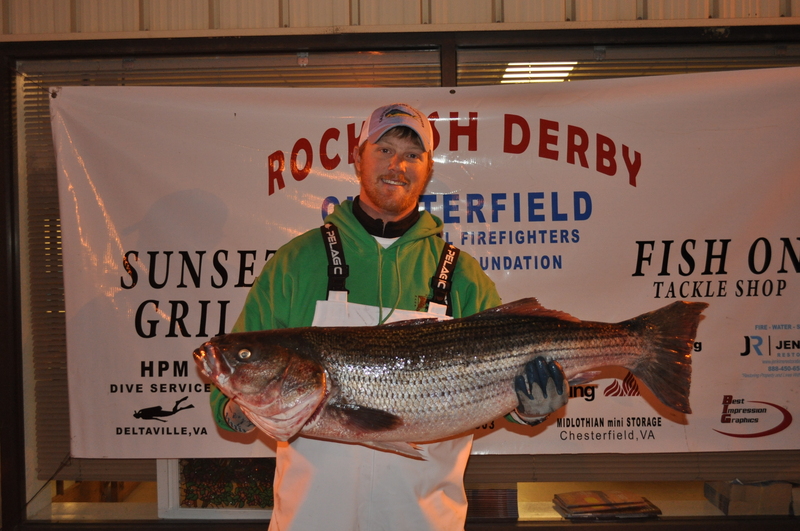 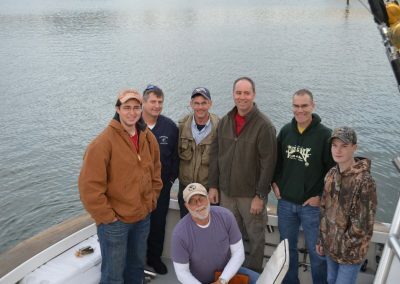 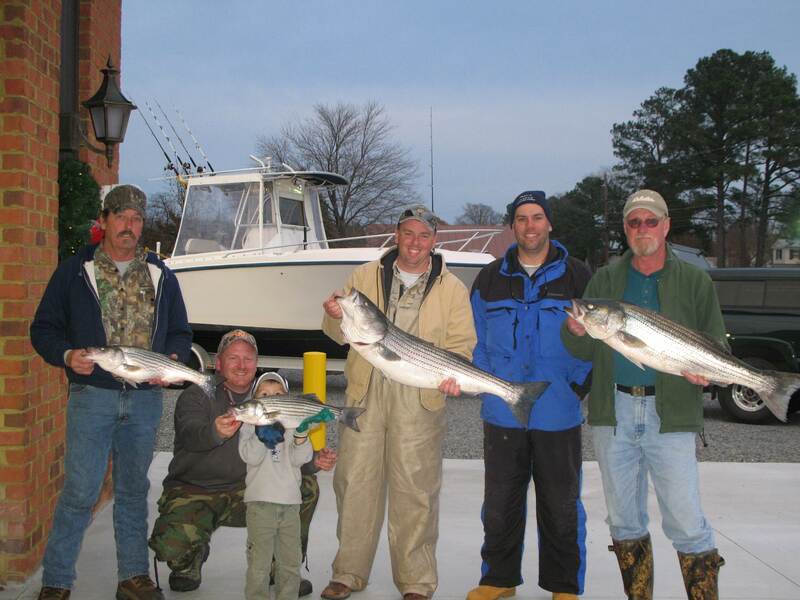 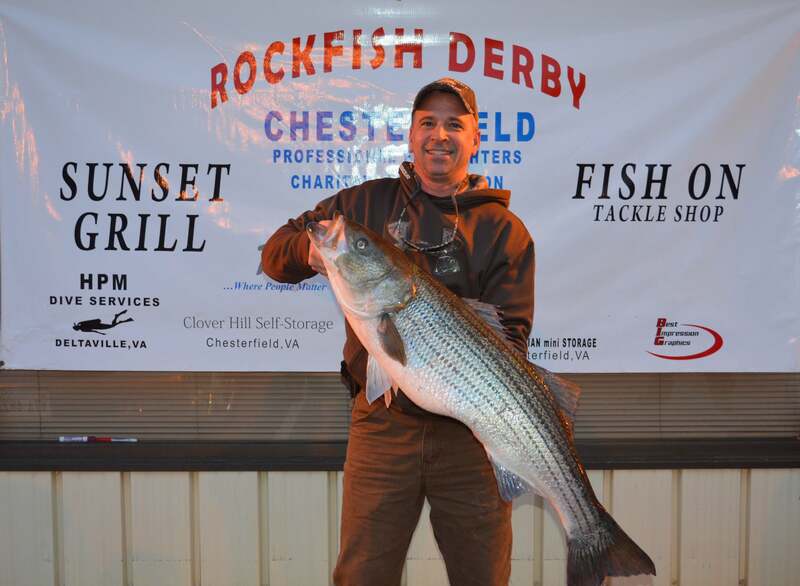 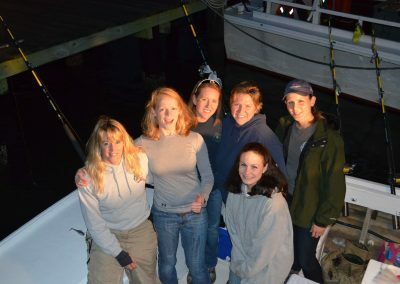 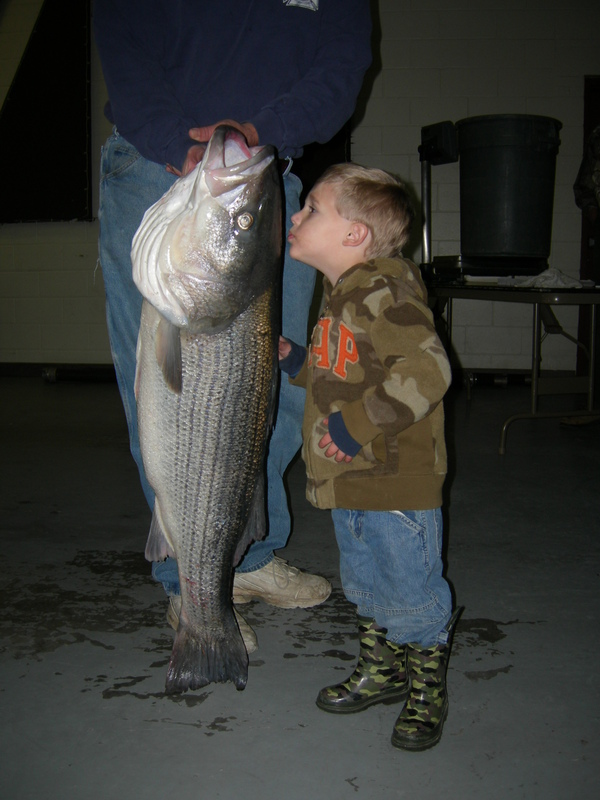 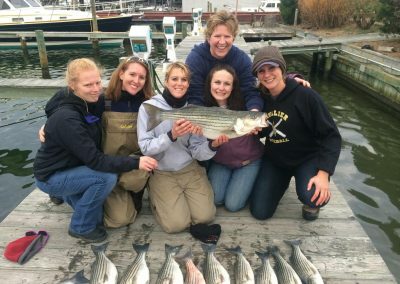 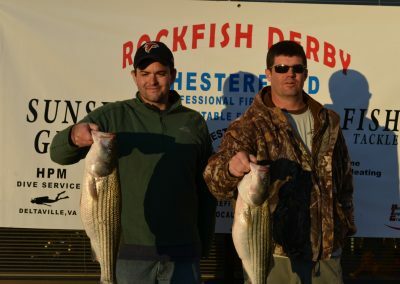 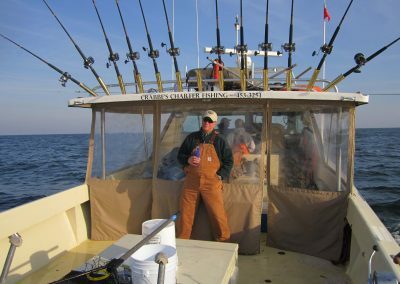 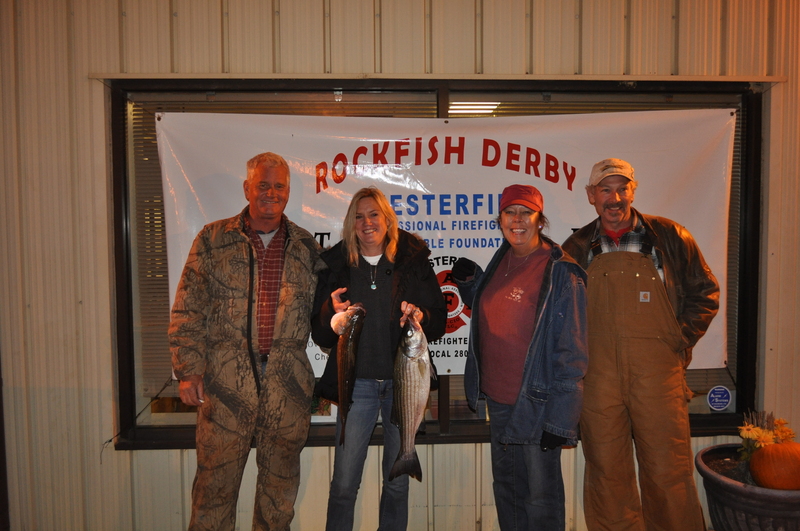 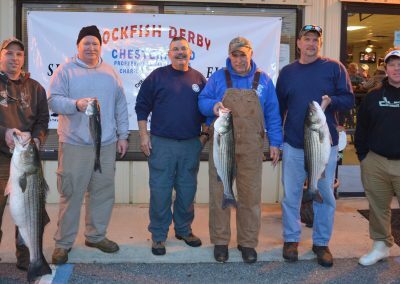 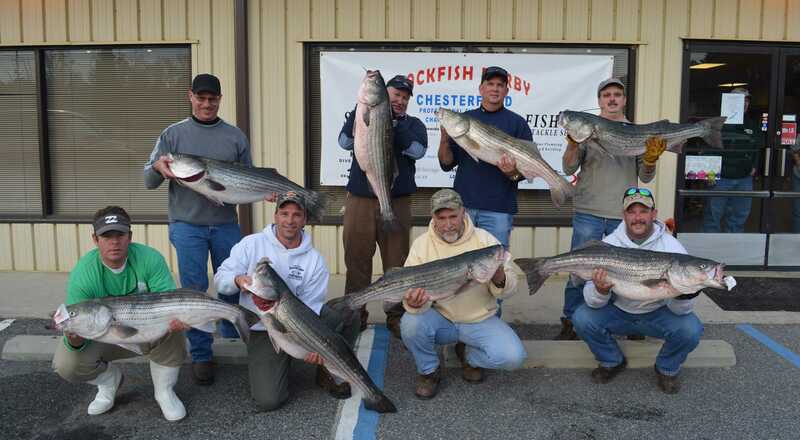 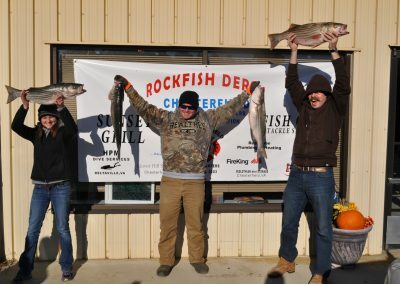 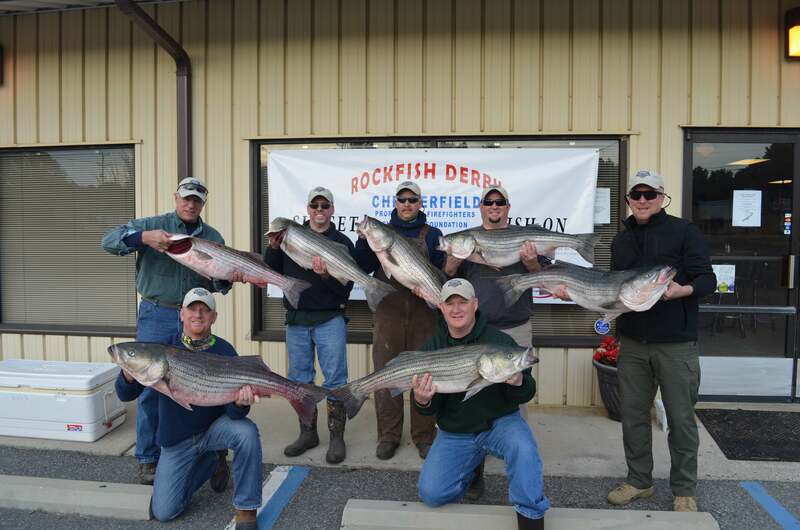 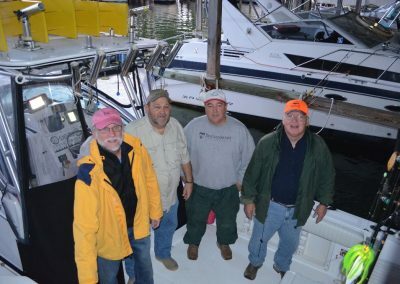 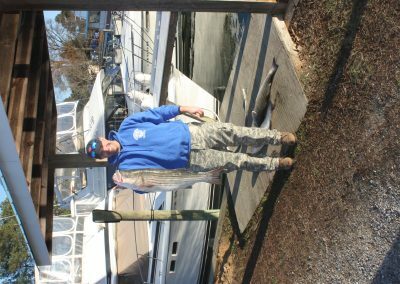 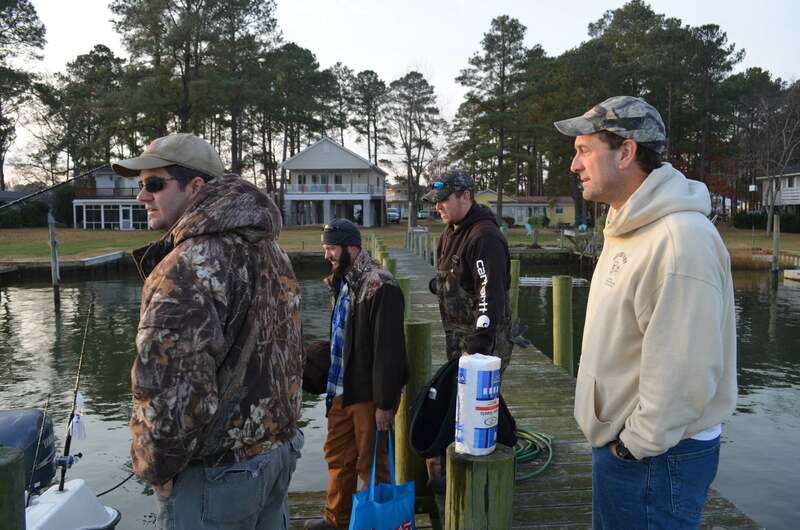 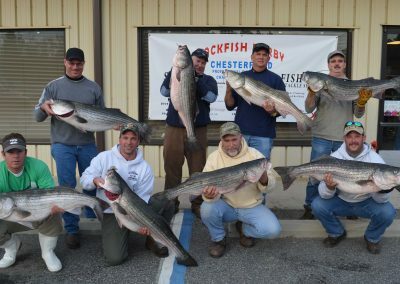 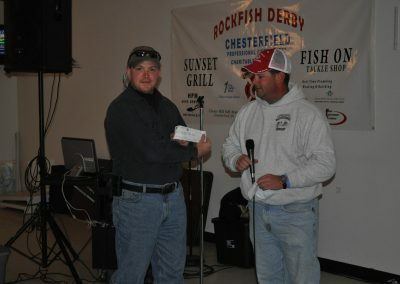 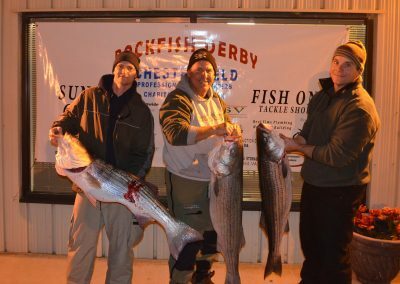 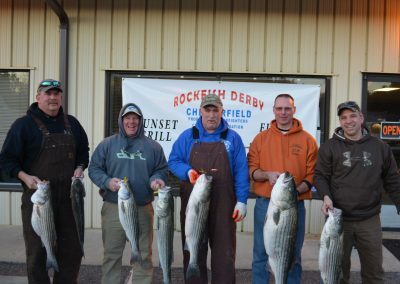 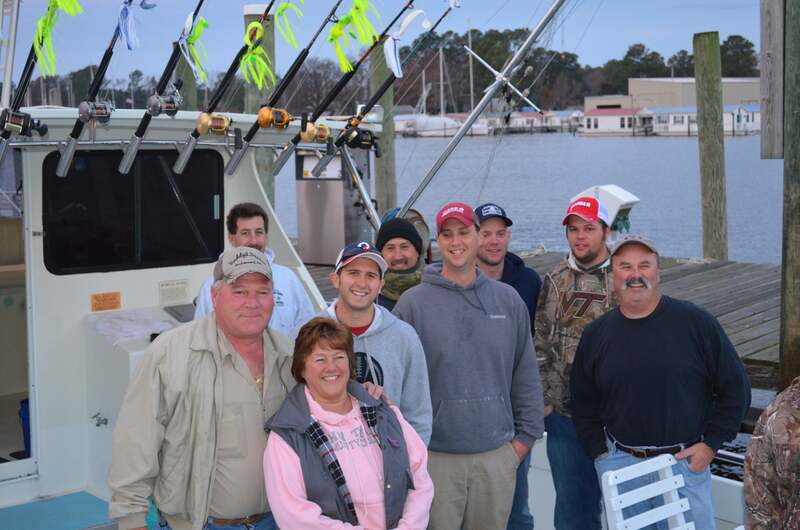 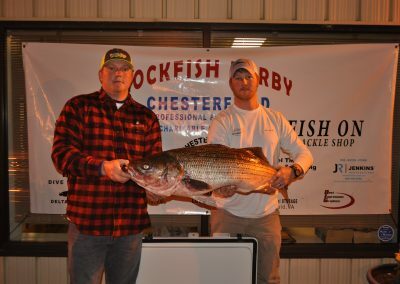 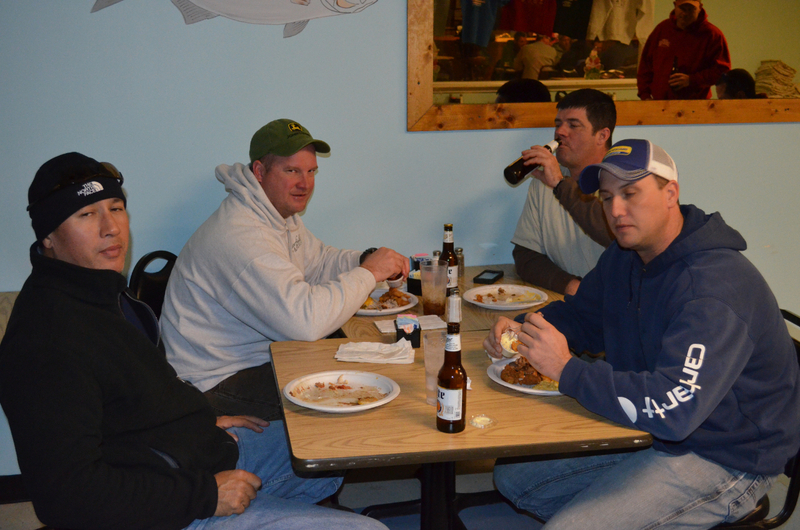 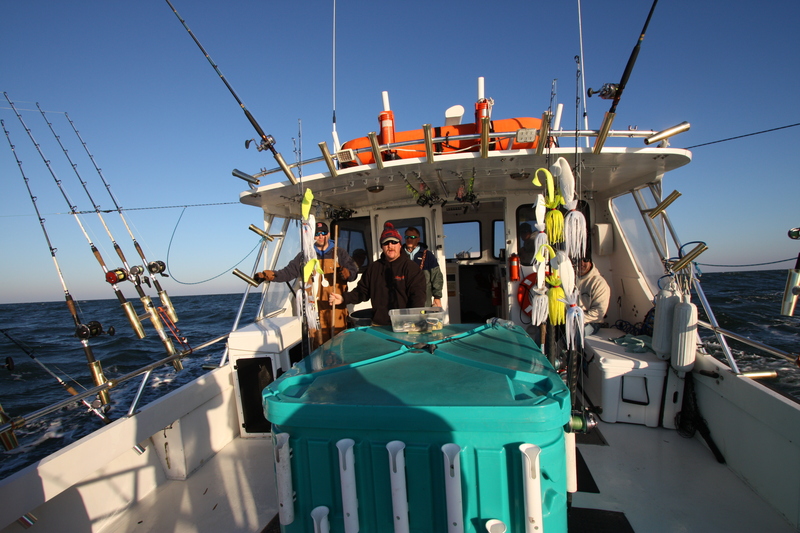 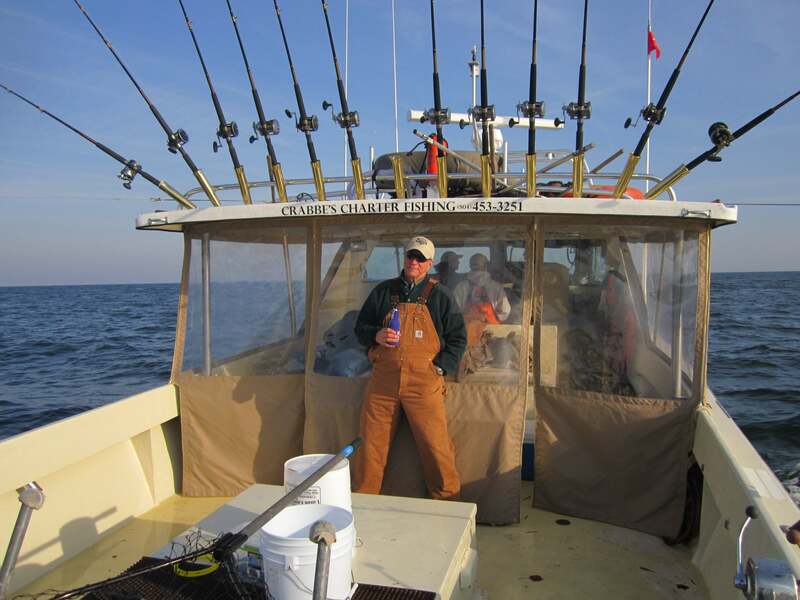 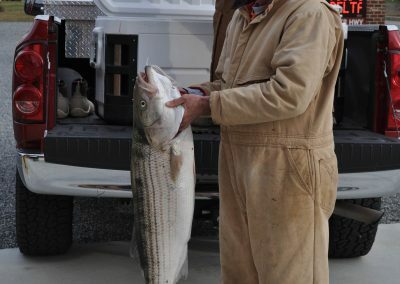 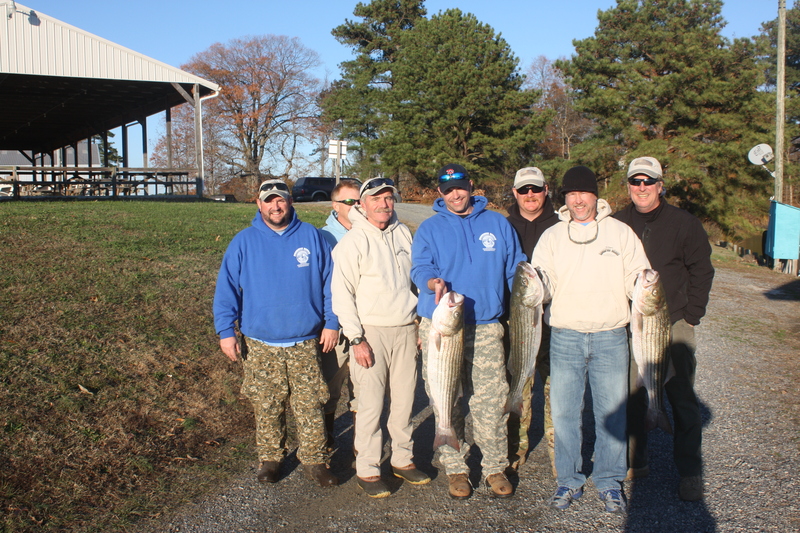 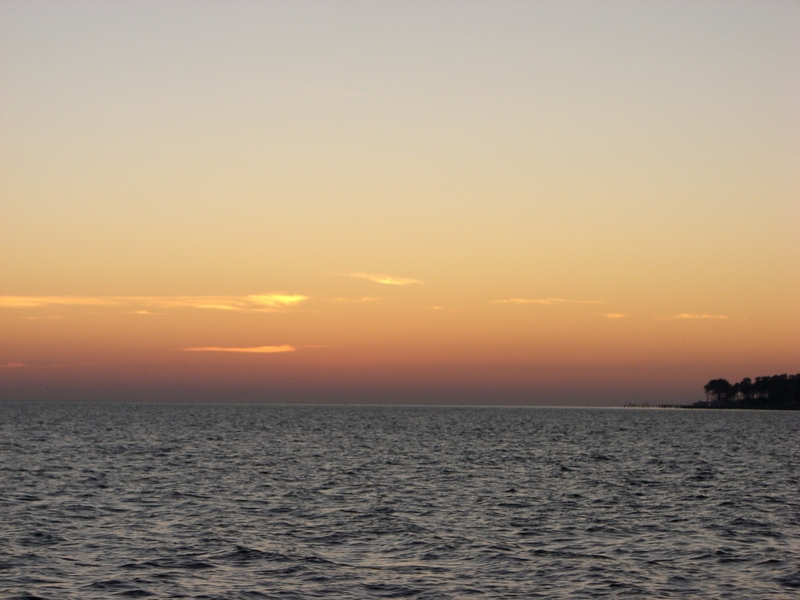 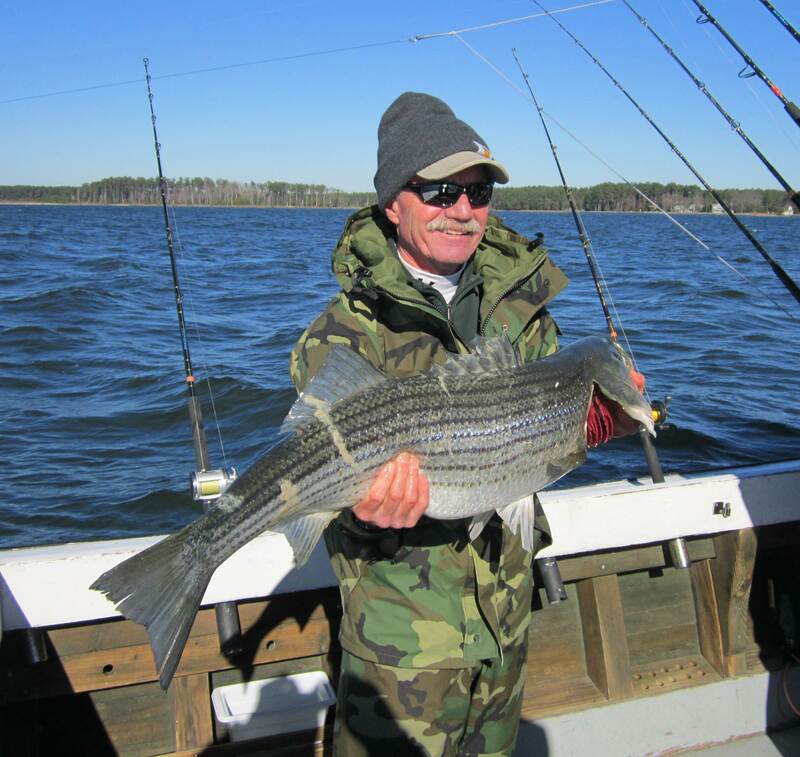 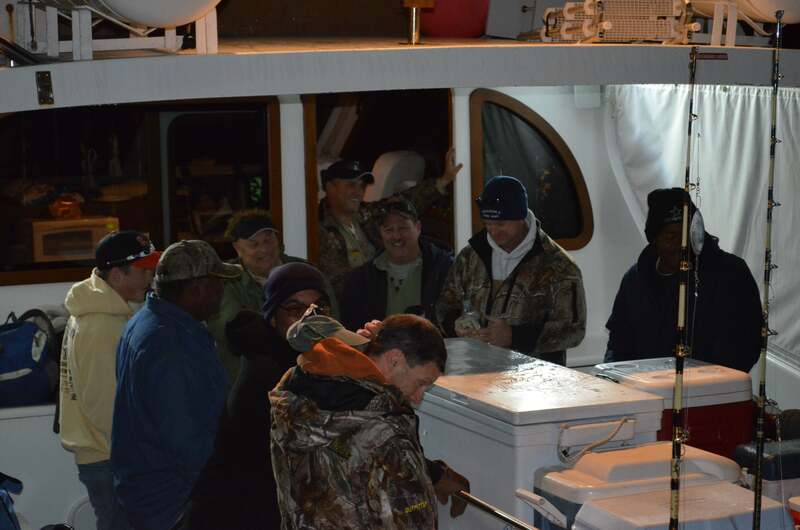 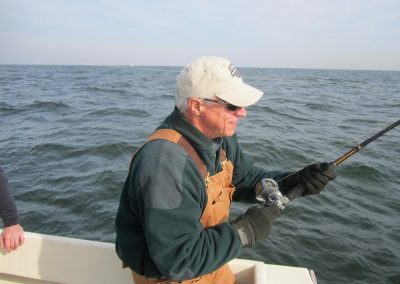 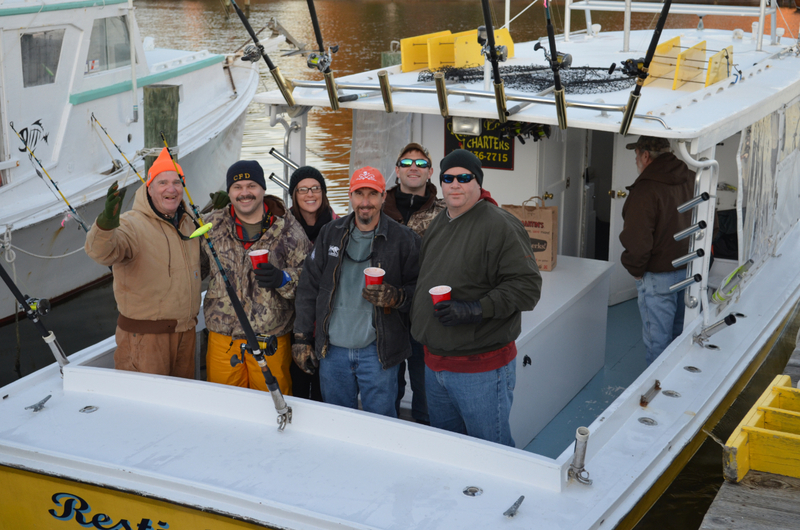 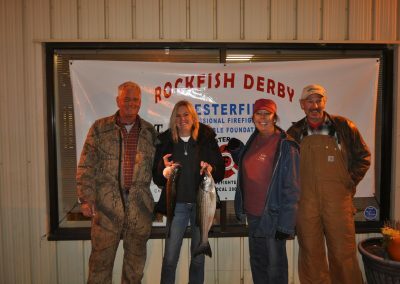 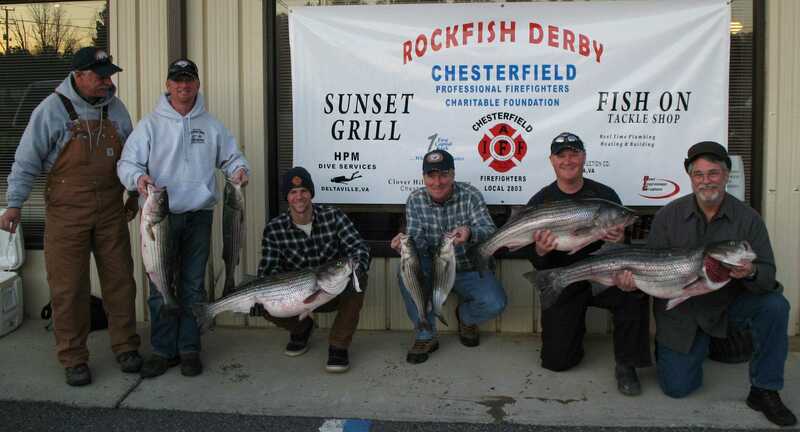 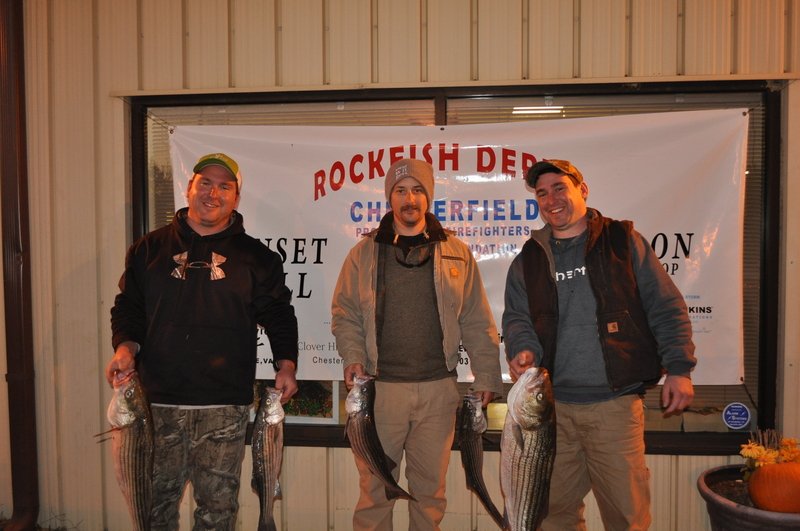 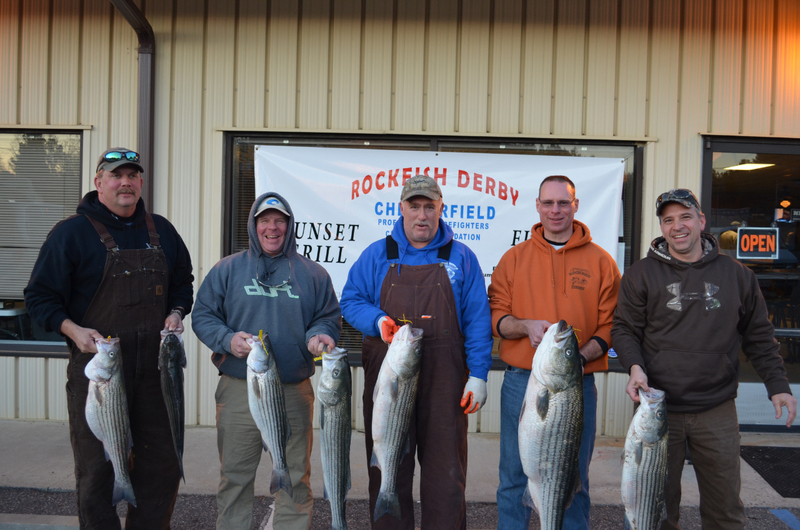 The Rockfish Derby was held each November/December in Deltaville, VA. 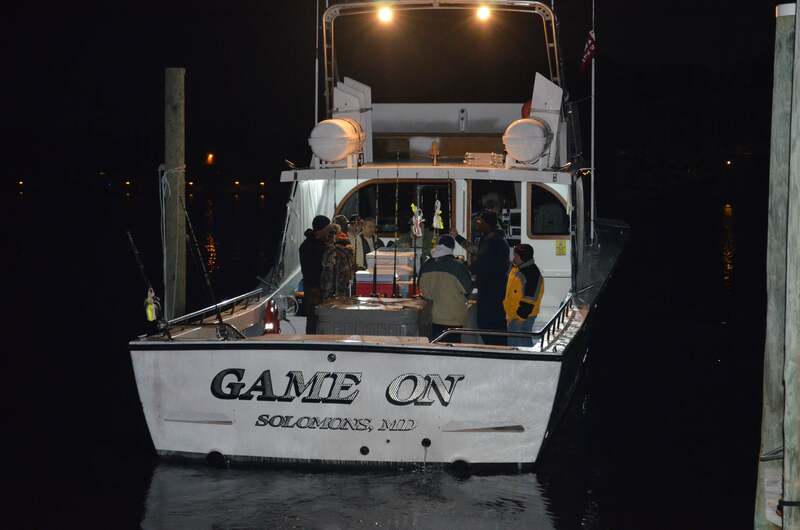 The boat on the tournament shirt is named the “Captain Joe” in his honor. 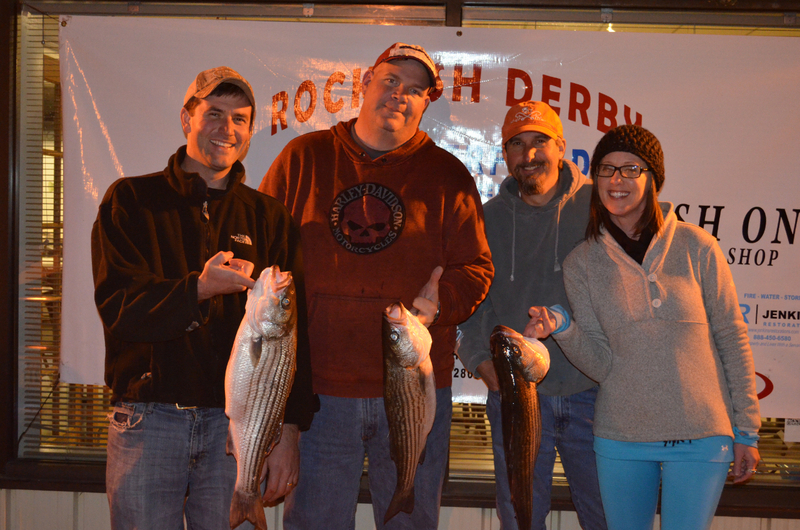 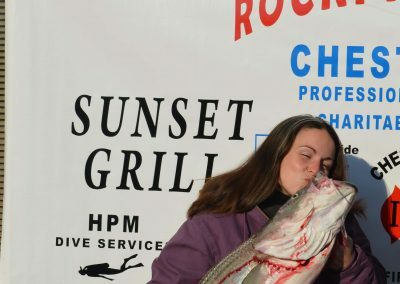 2015 was the final year for the Rockfish Derby. 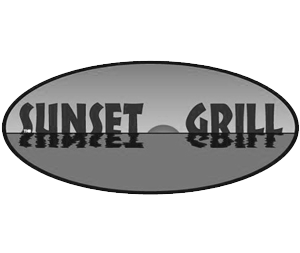 We have decided to suspend the tournament so that we may focus our efforts on new events. 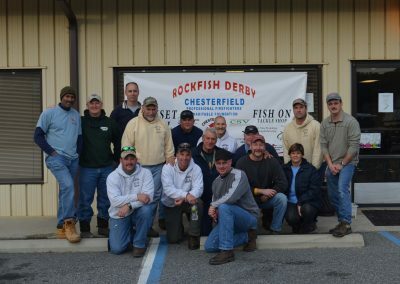 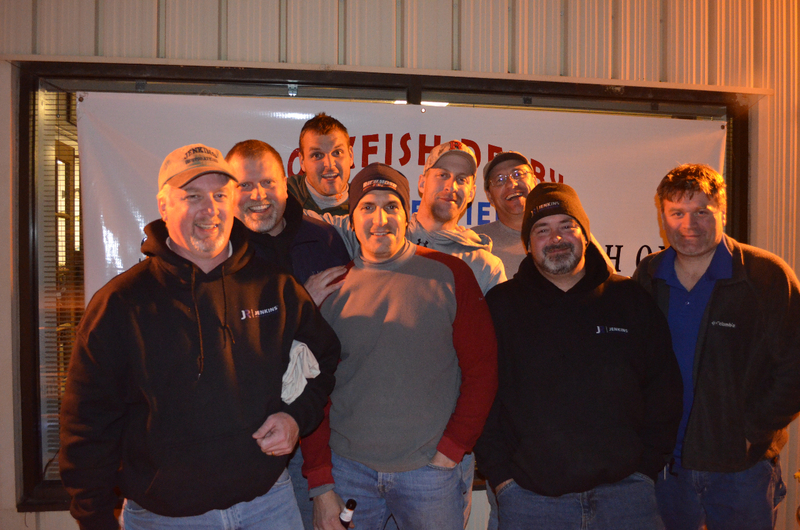 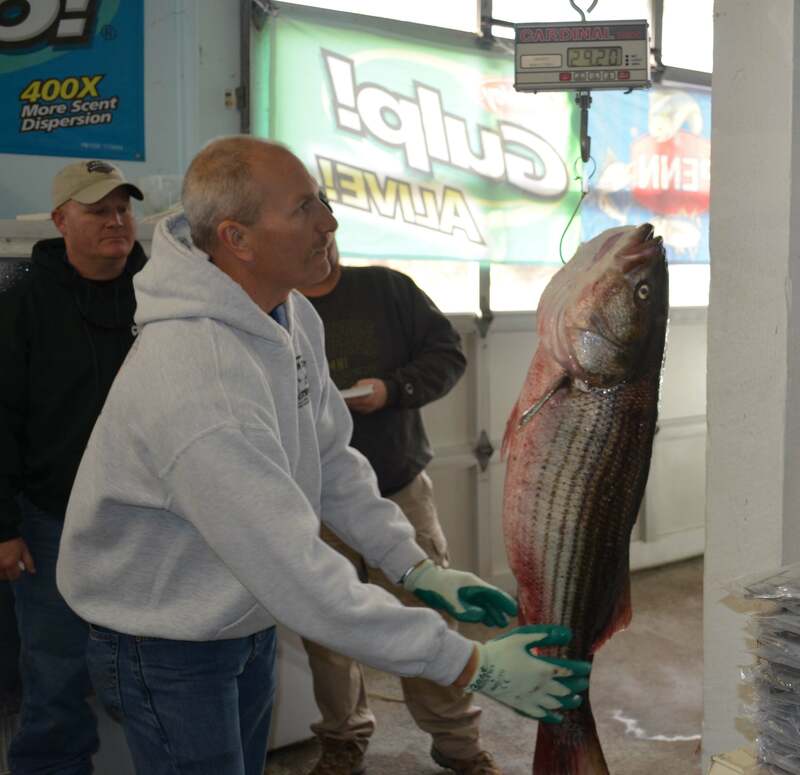 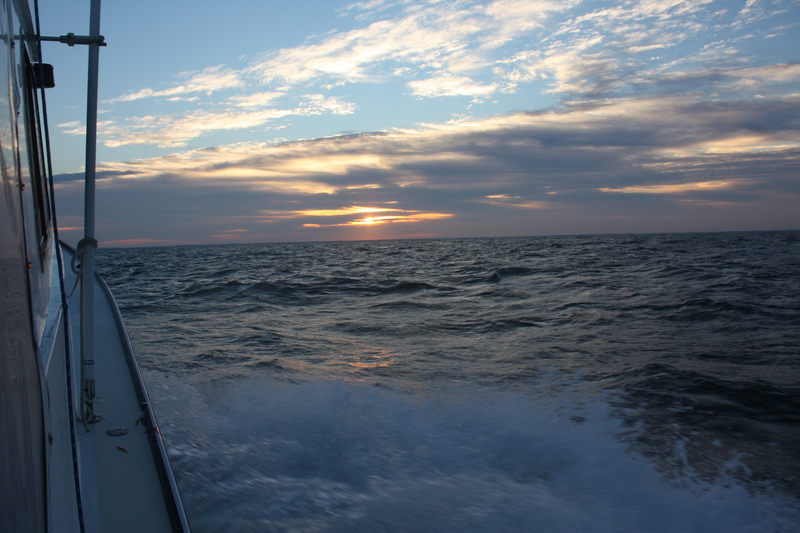 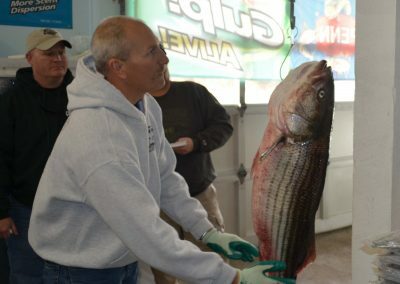 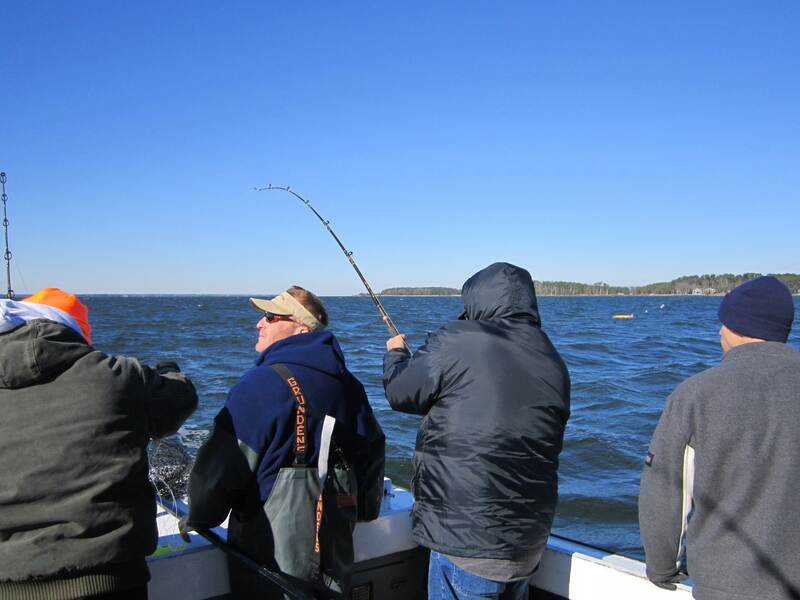 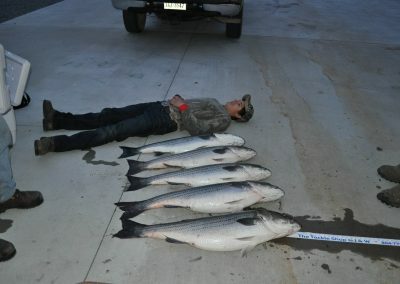 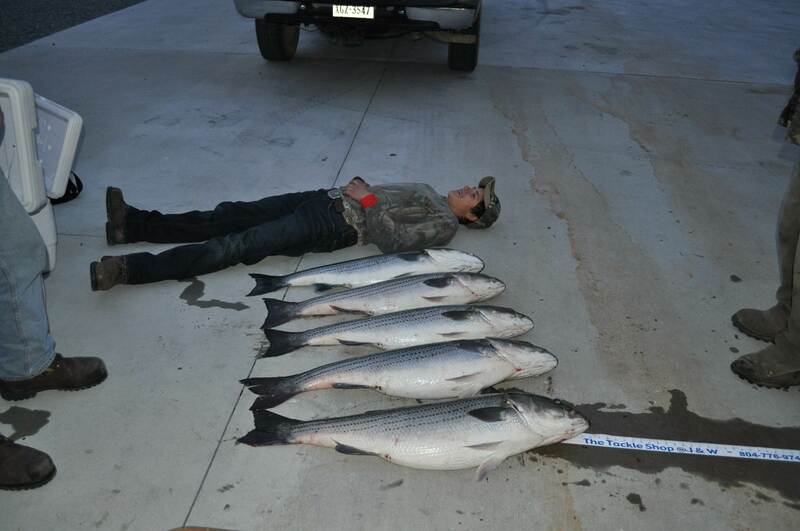 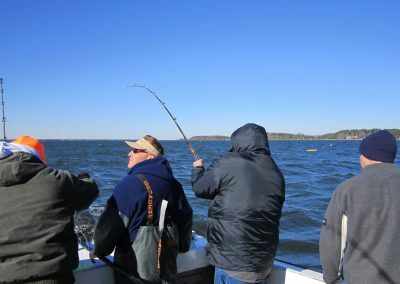 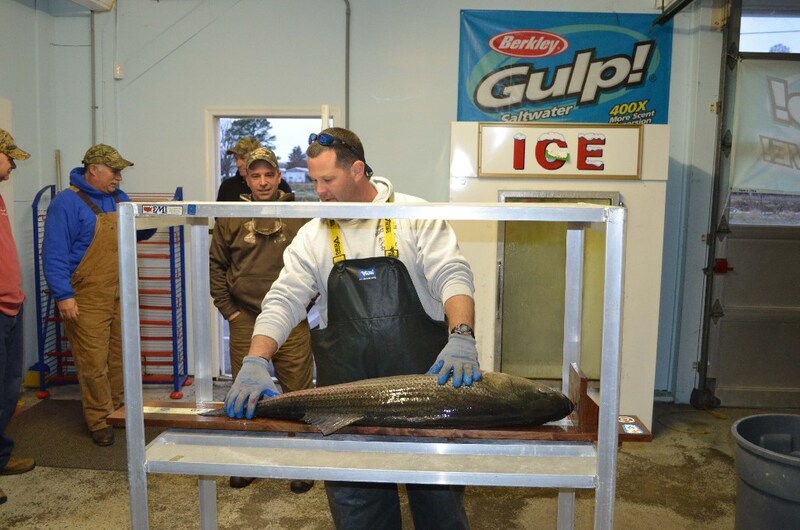 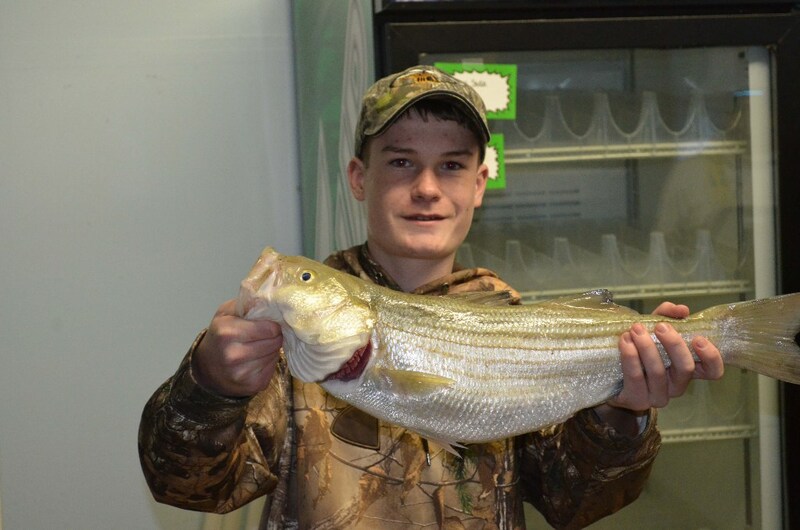 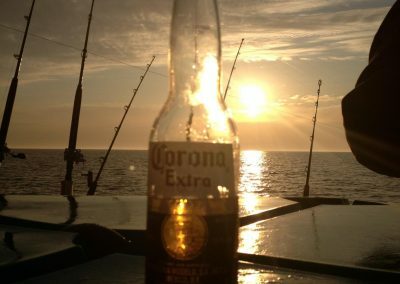 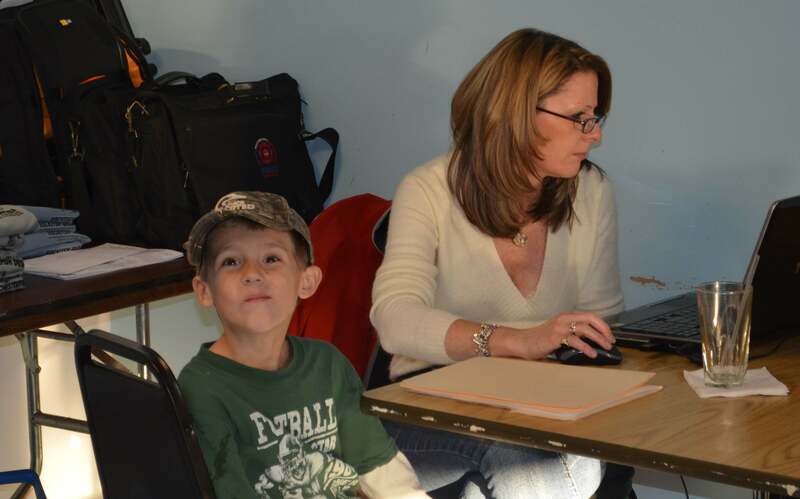 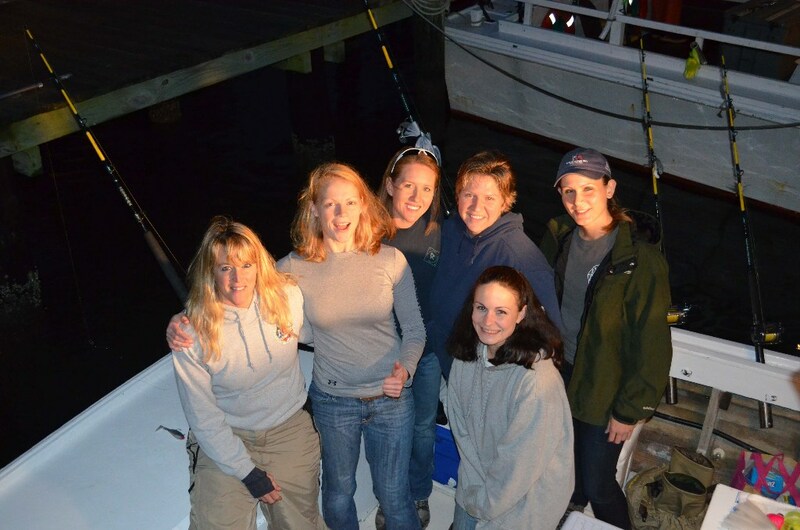 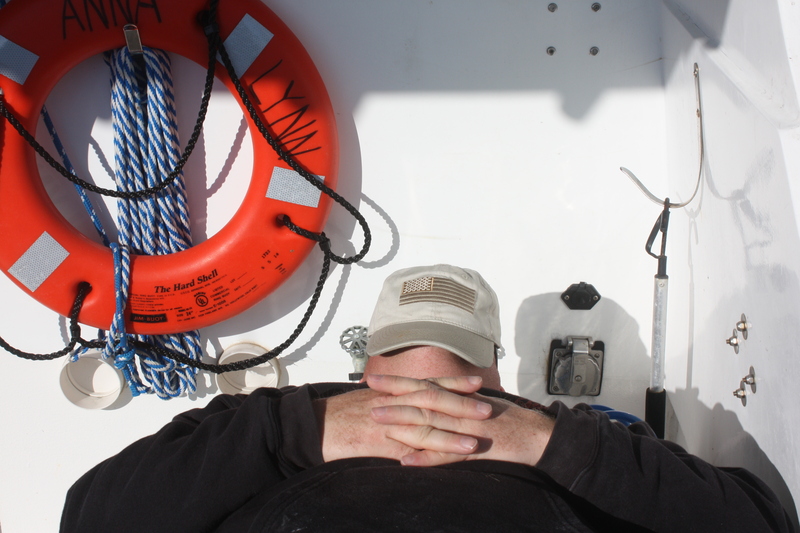 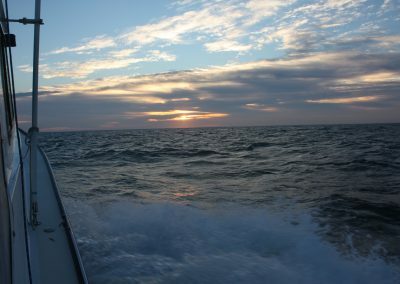 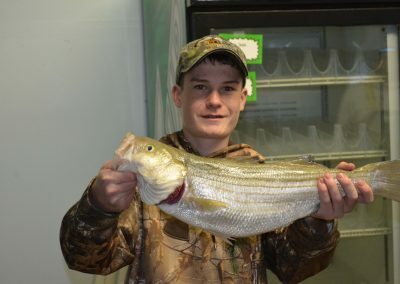 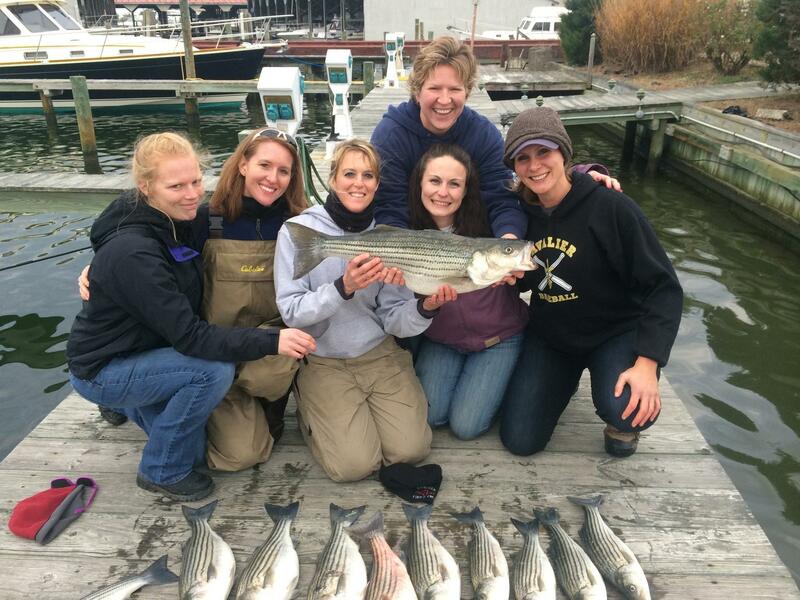 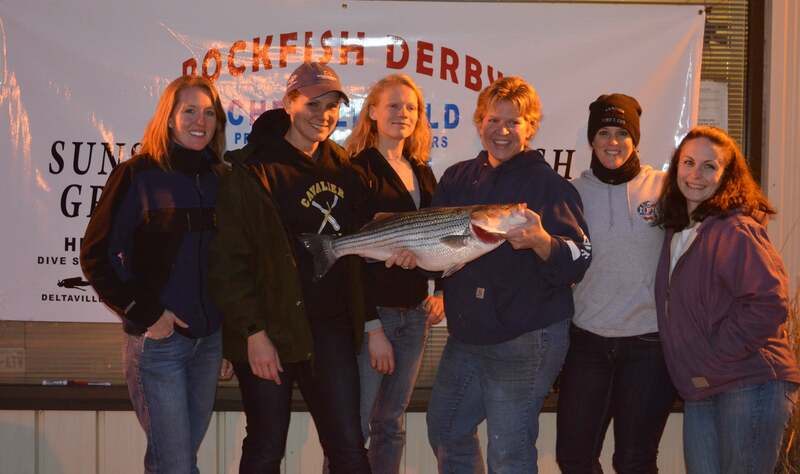 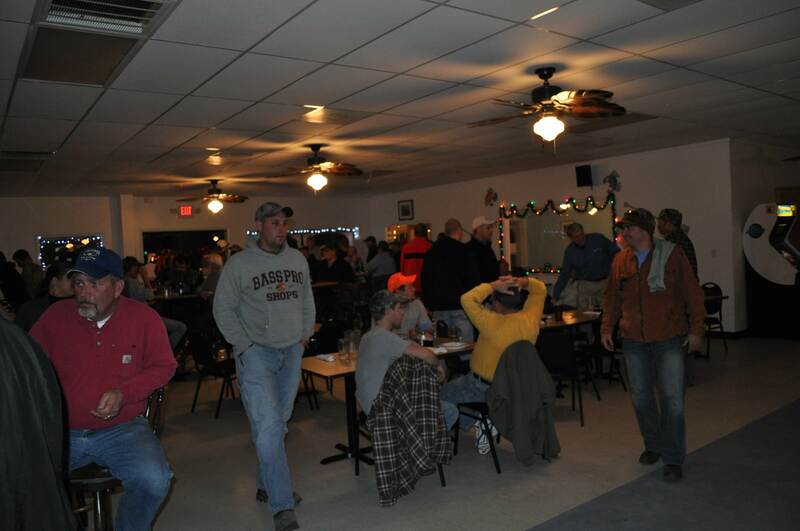 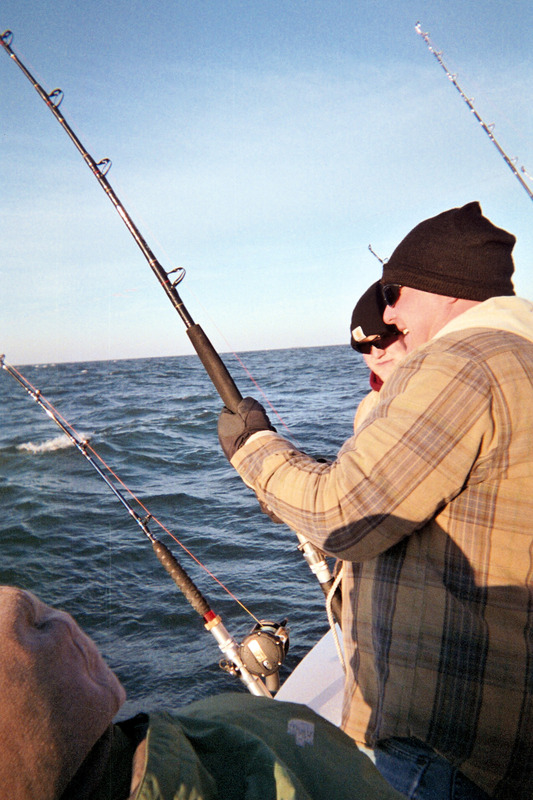 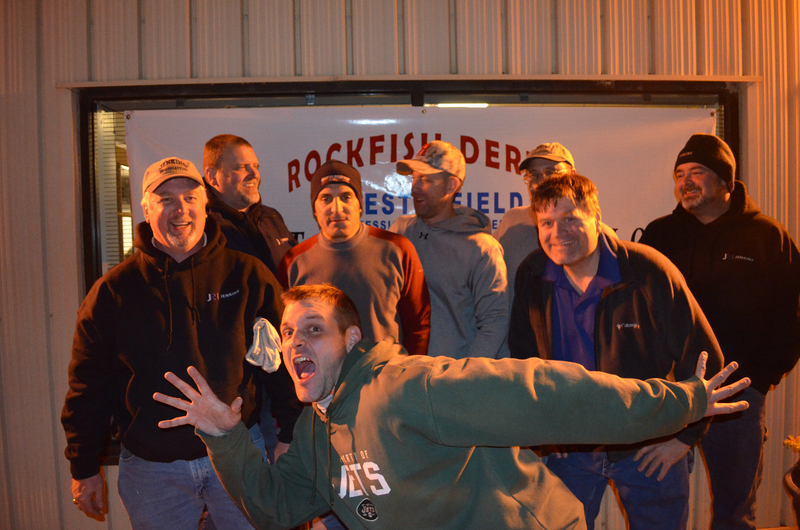 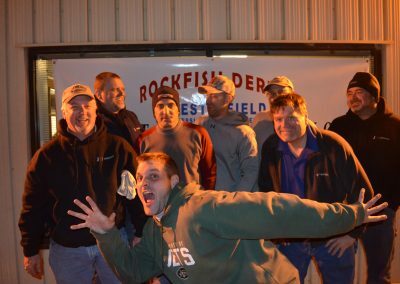 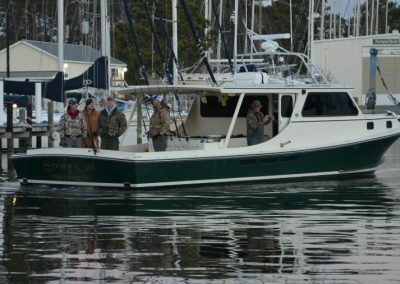 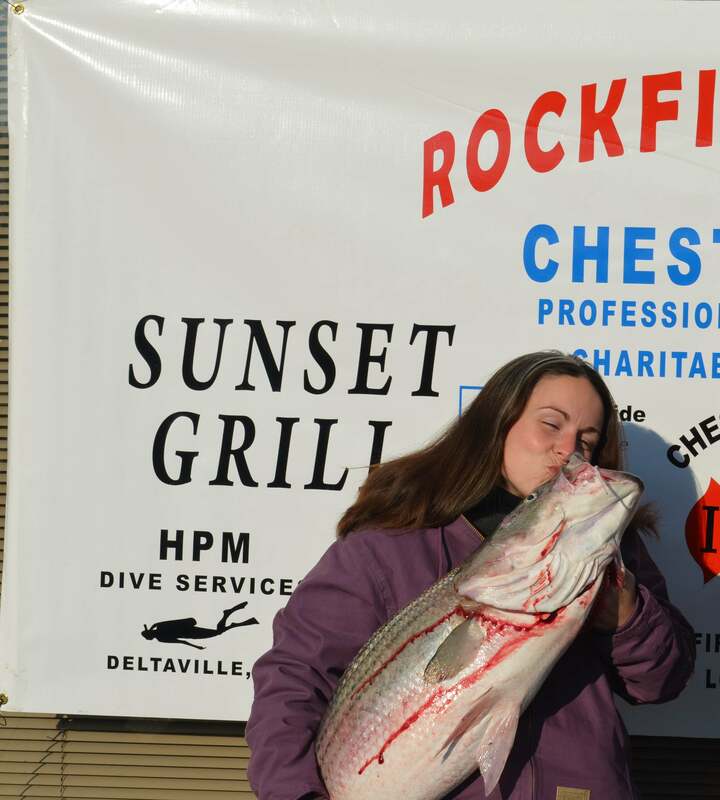 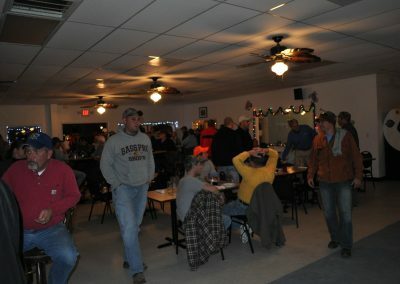 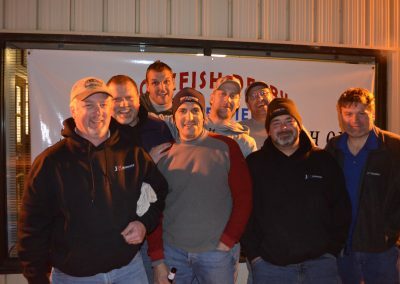 If you have pictures from the Rockfish Derby that you would like to share CONTACT US.